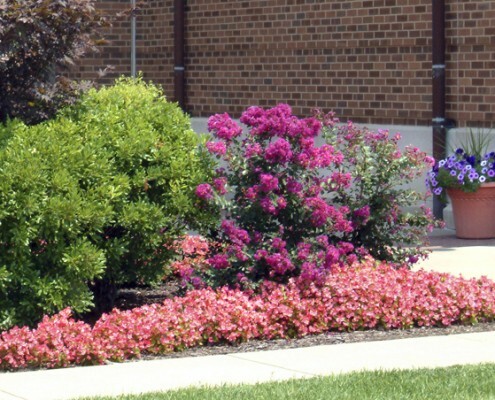 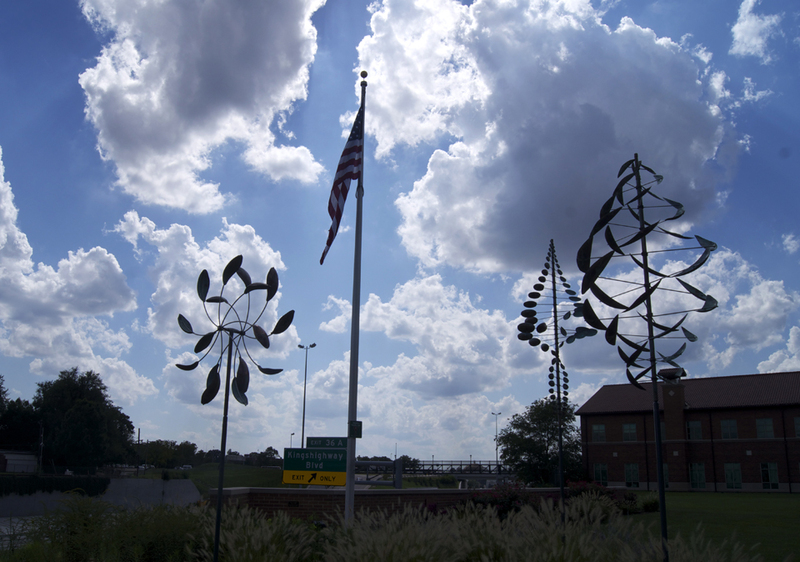 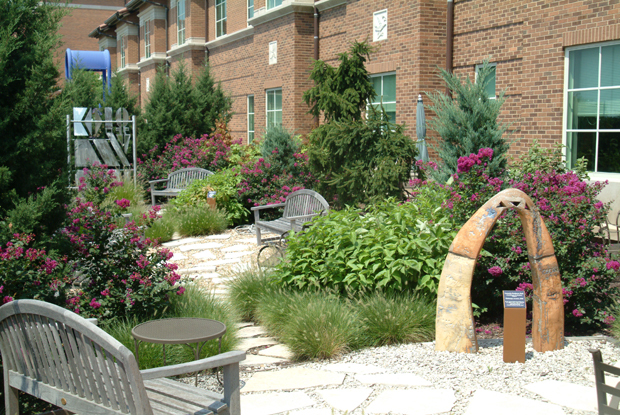 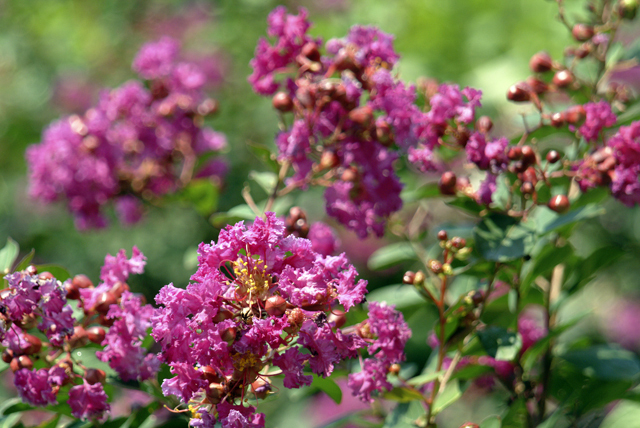 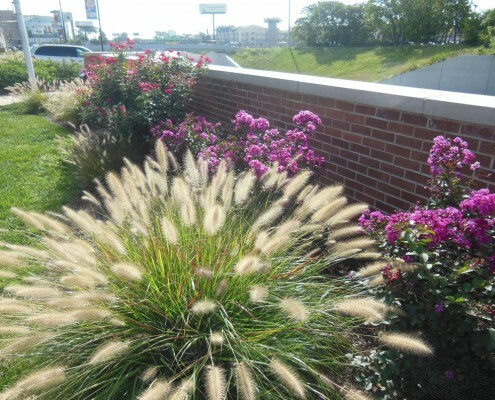 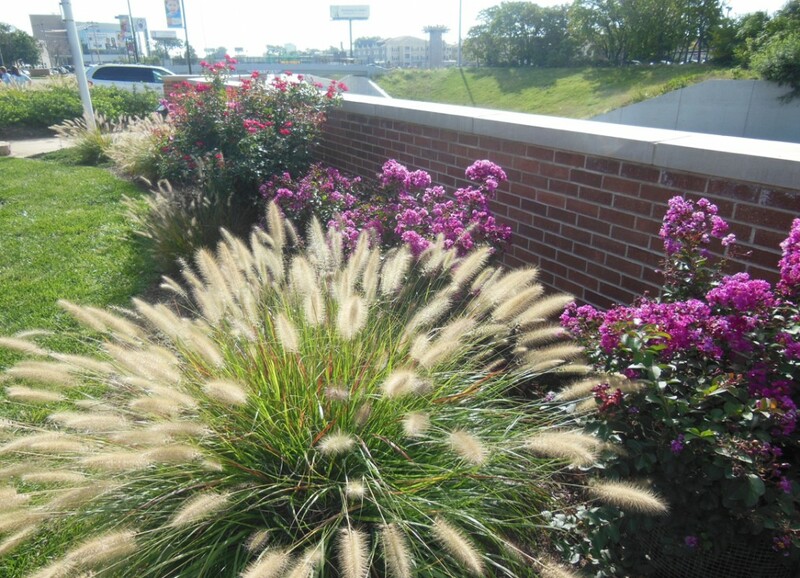 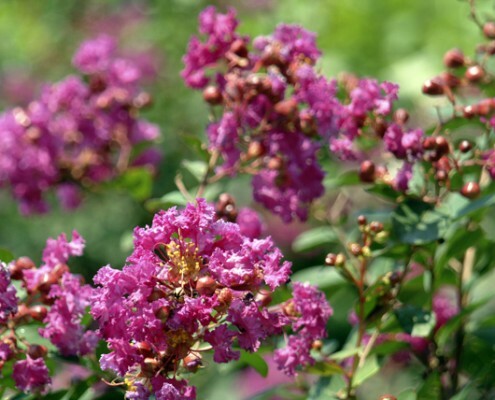 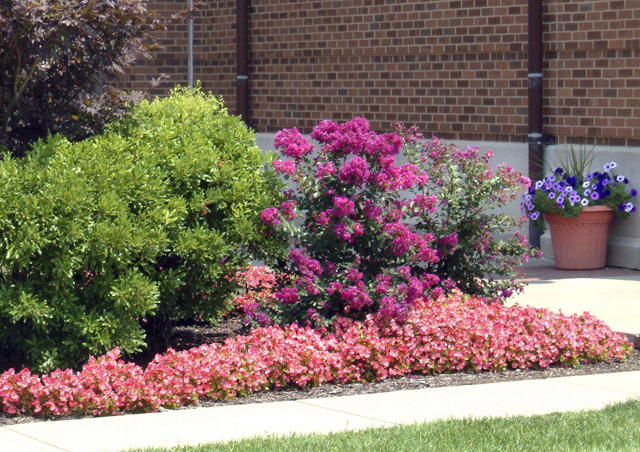 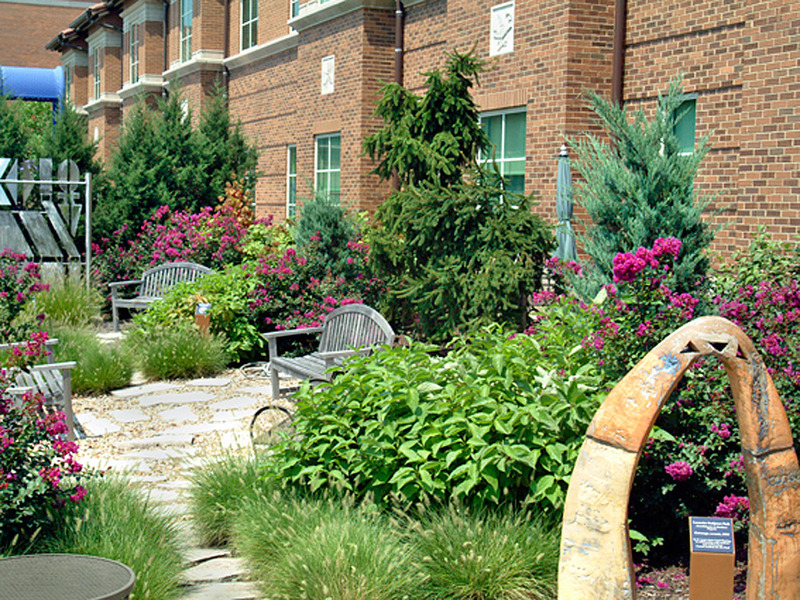 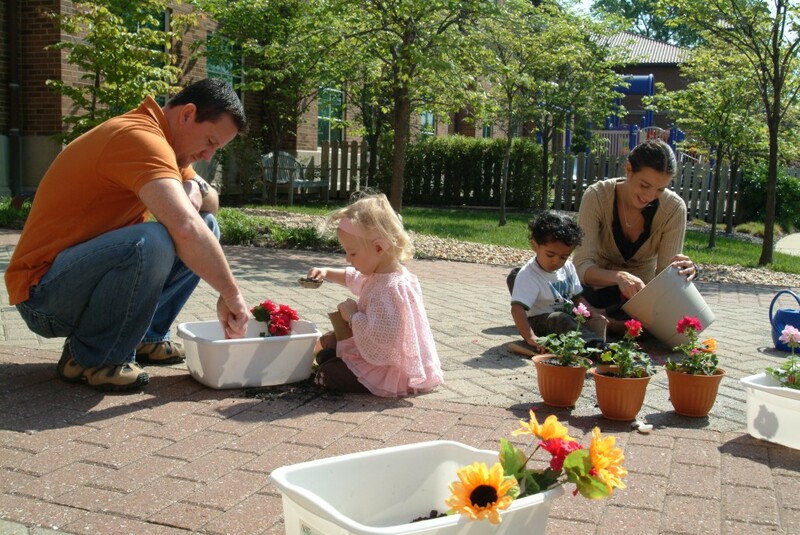 The Arenberg Family Gardens bloom near the CID school entrance at 825 South Taylor Avenue in St. Louis. 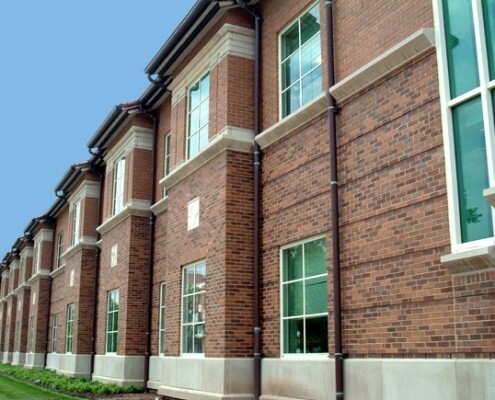 Designed by Mackey Mitchell Architects and built by S.M. 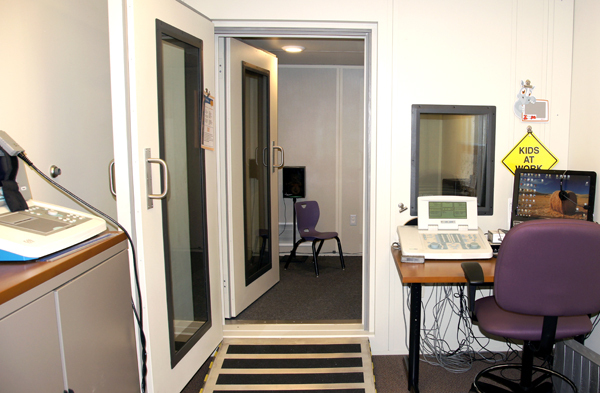 Wilson, the CID school is an acoustically-friendly environment where students who are deaf and hard of hearing learn to listen and talk. 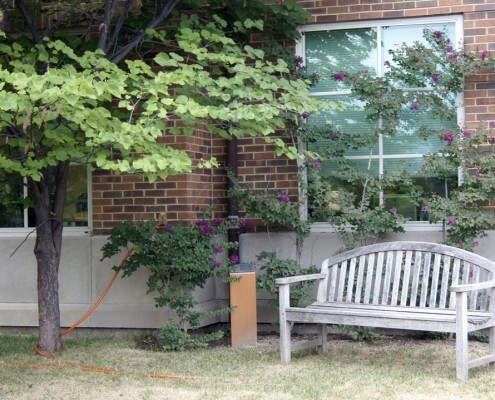 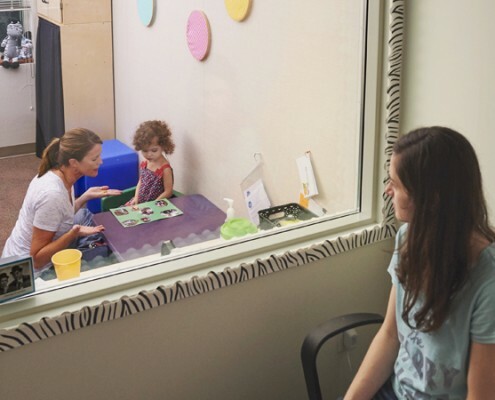 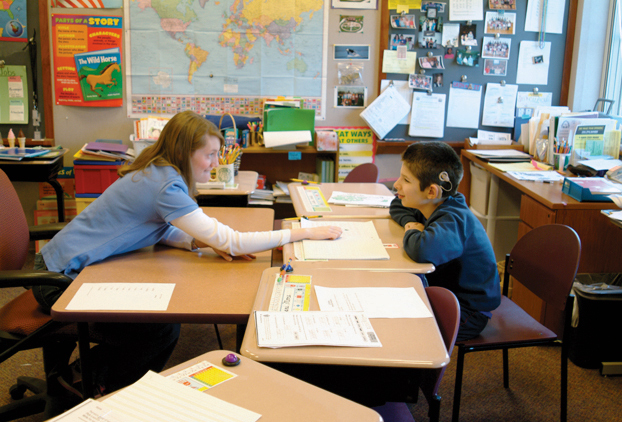 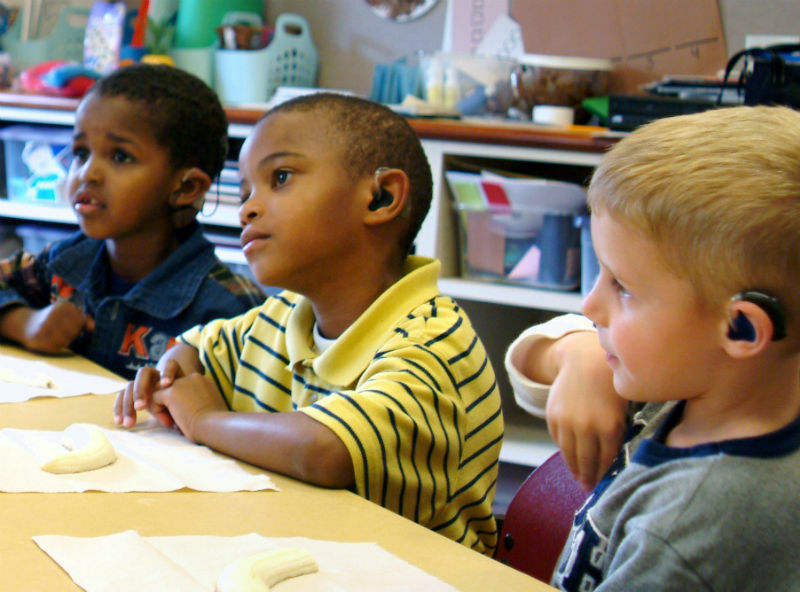 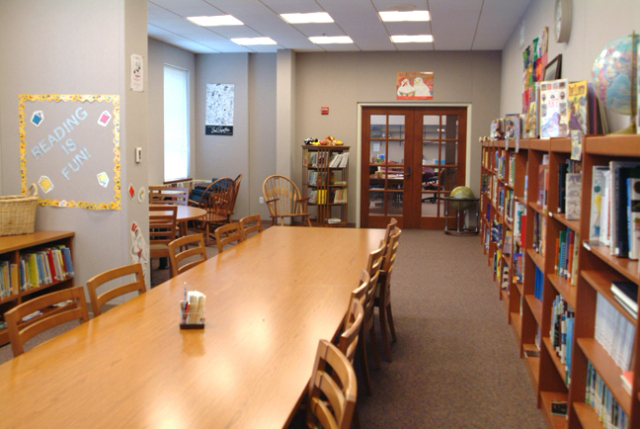 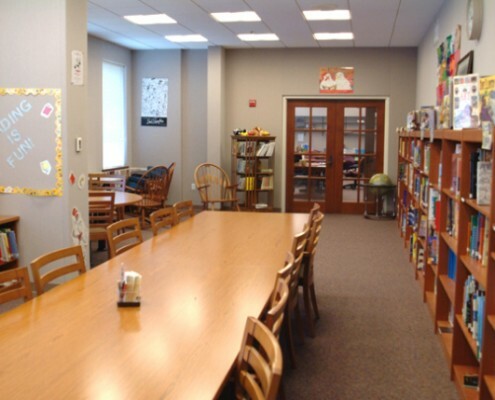 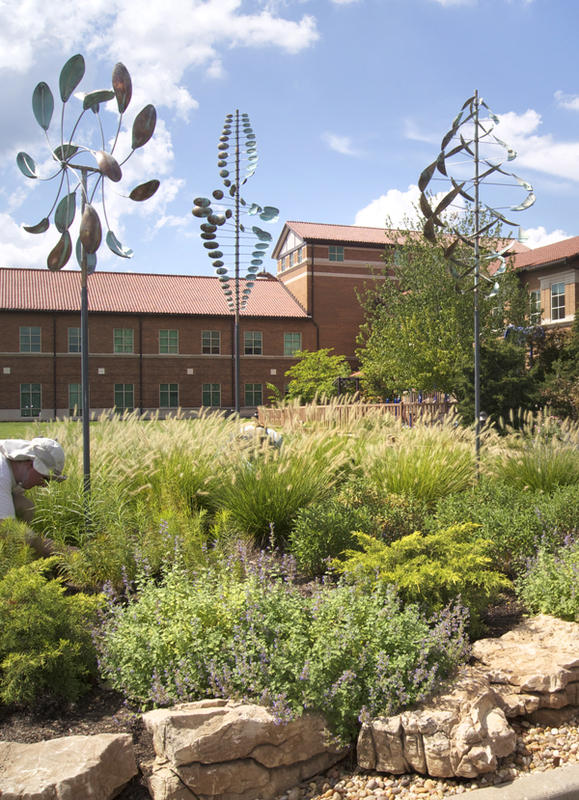 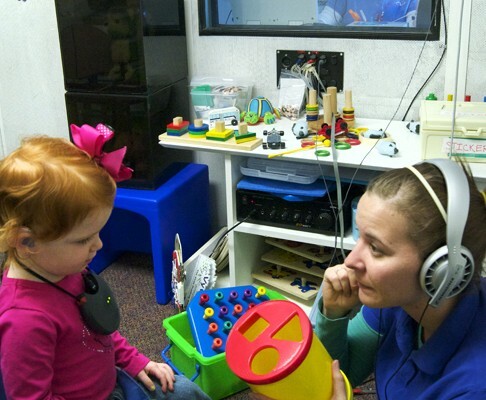 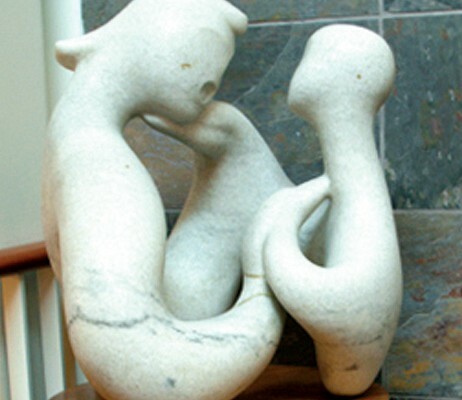 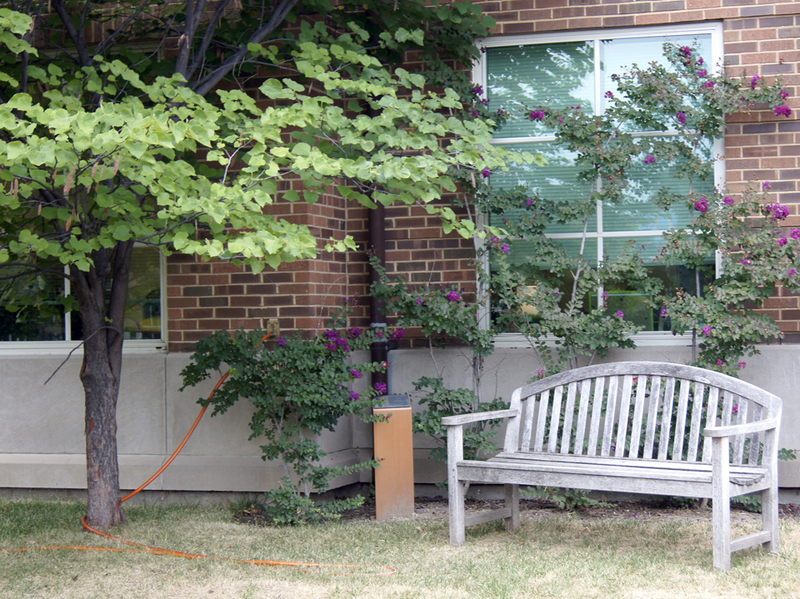 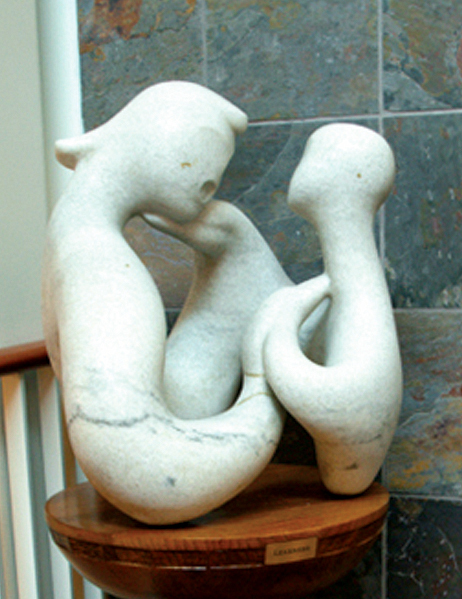 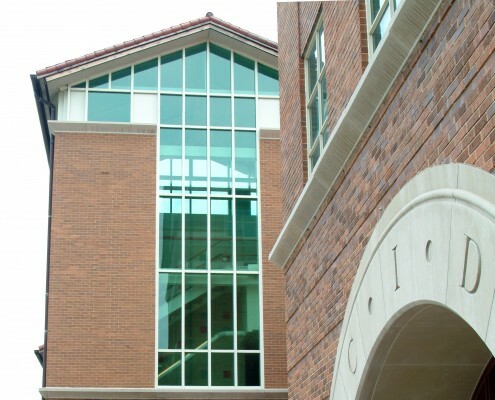 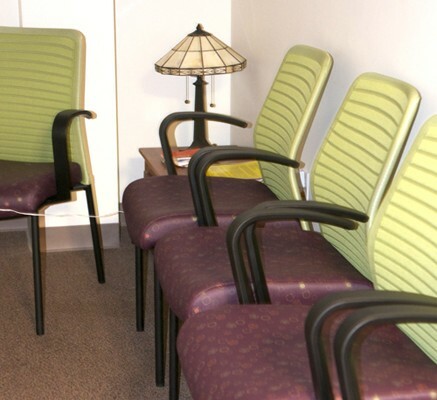 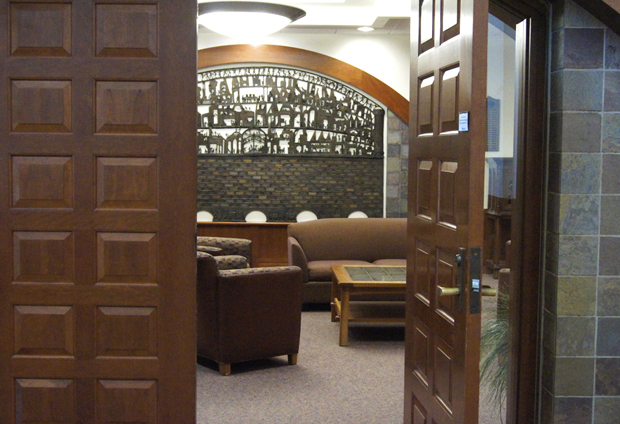 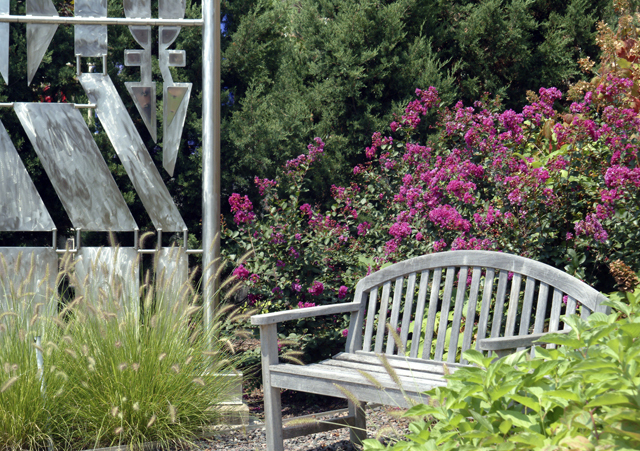 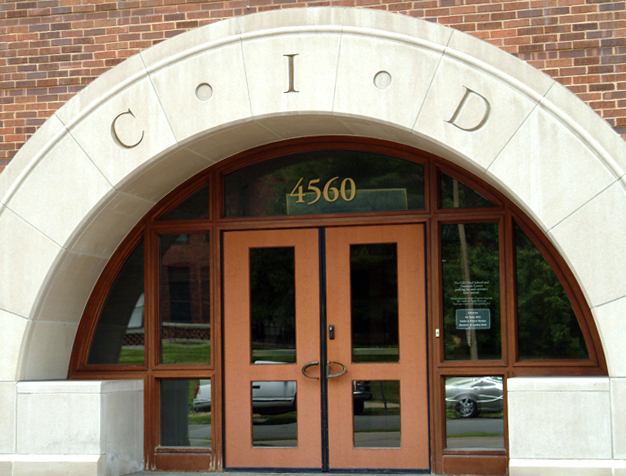 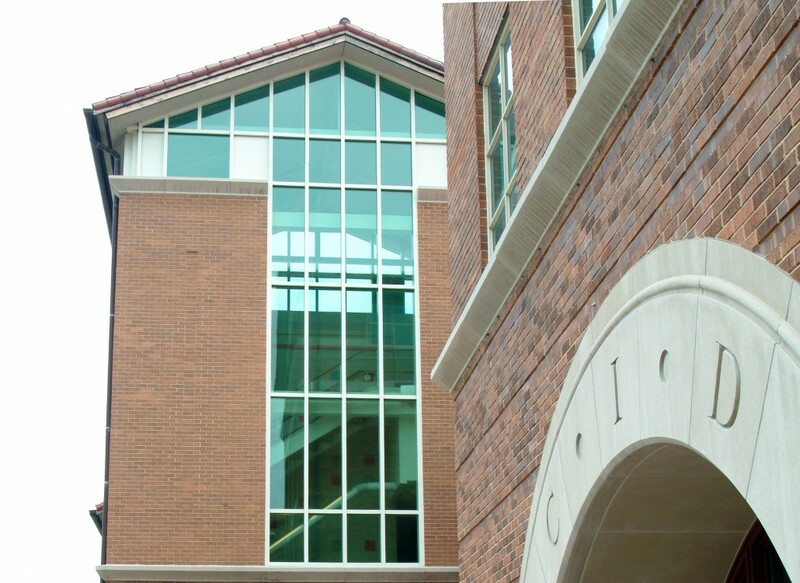 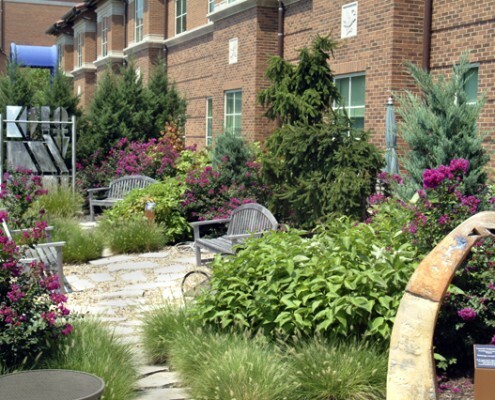 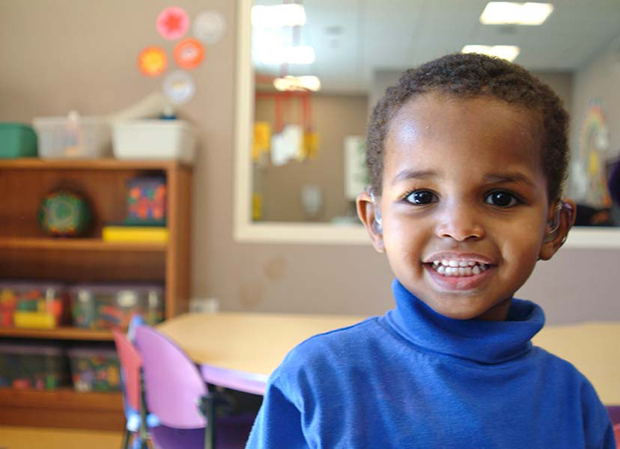 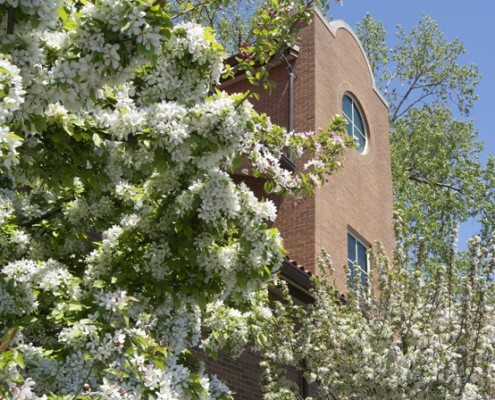 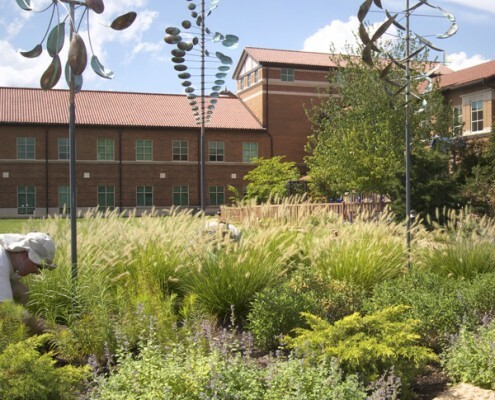 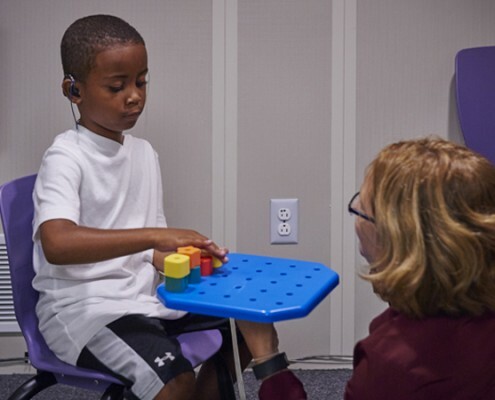 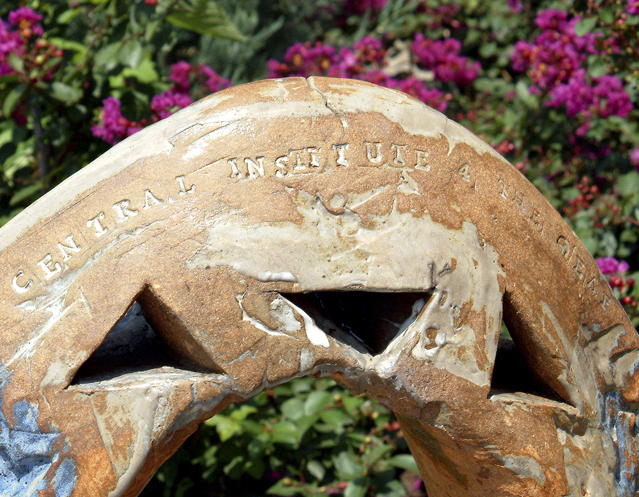 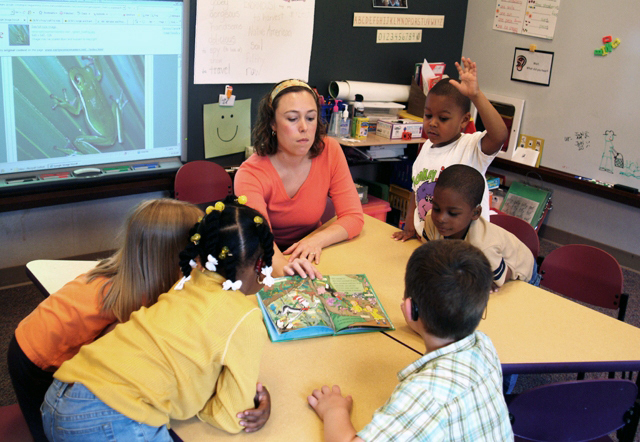 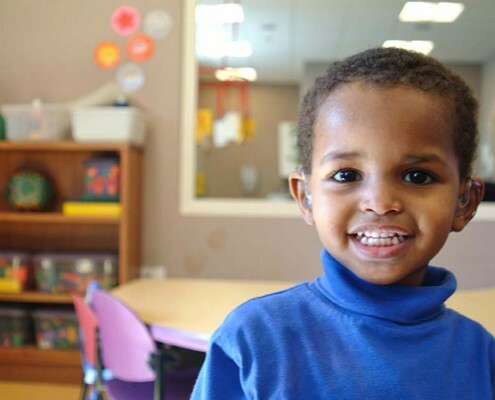 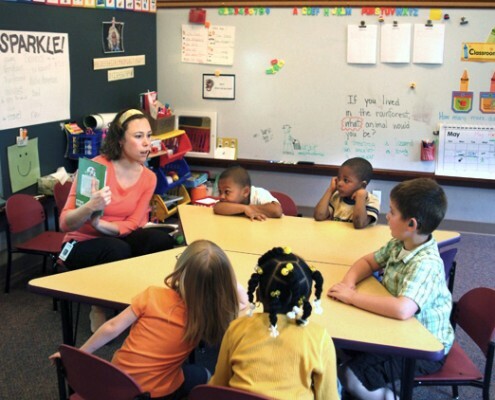 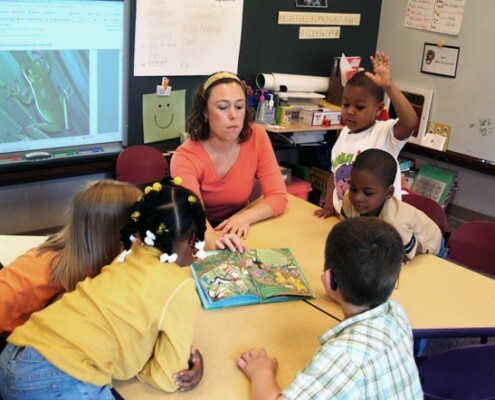 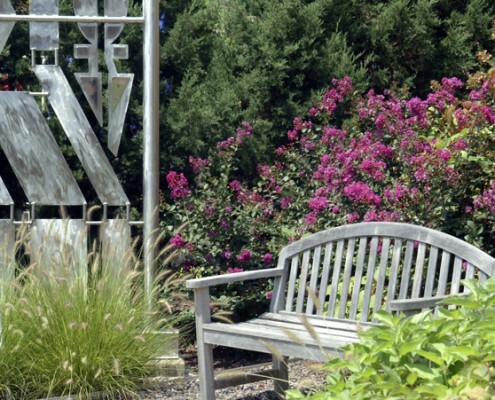 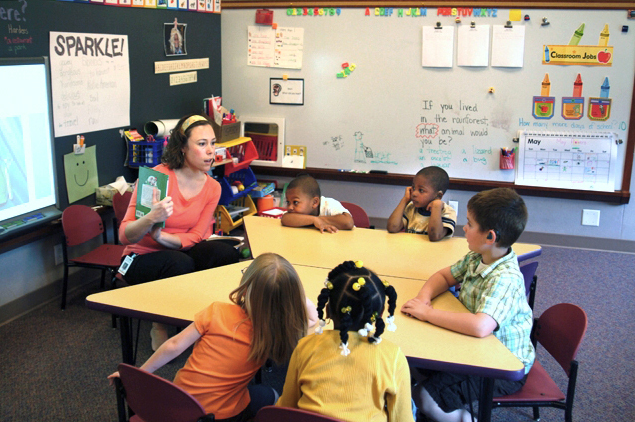 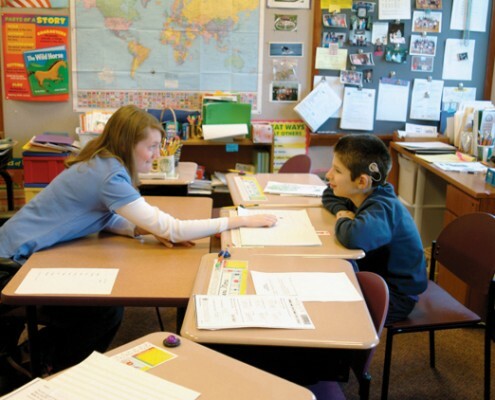 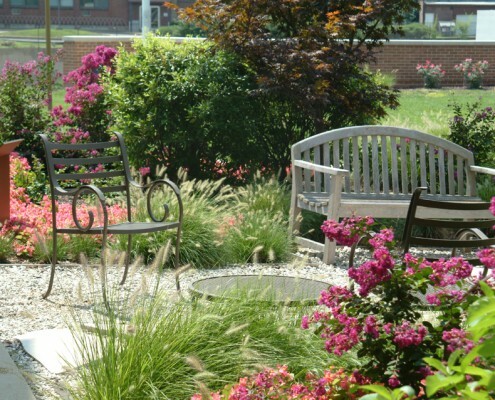 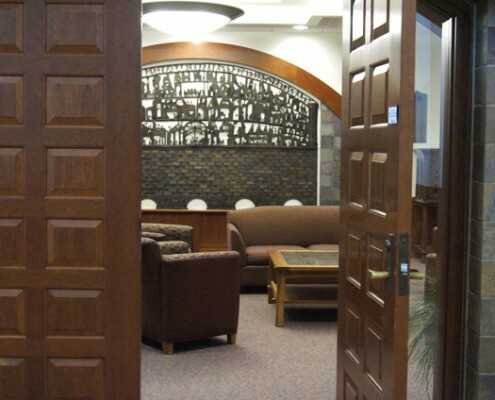 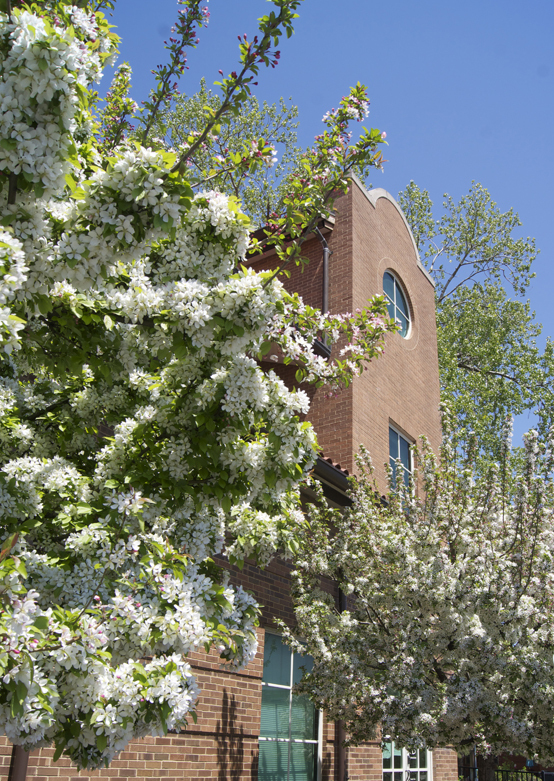 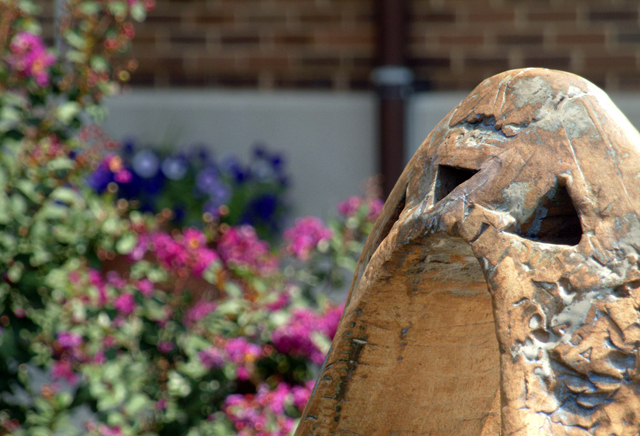 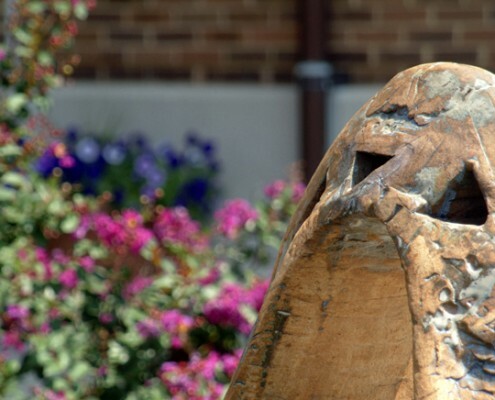 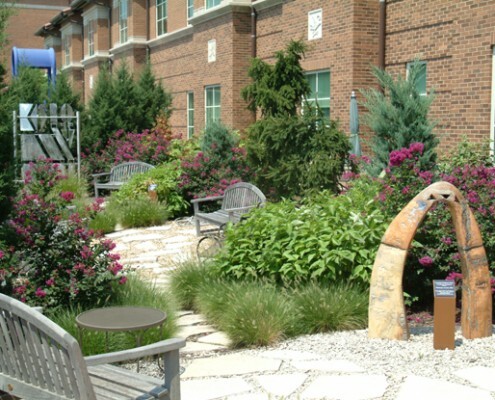 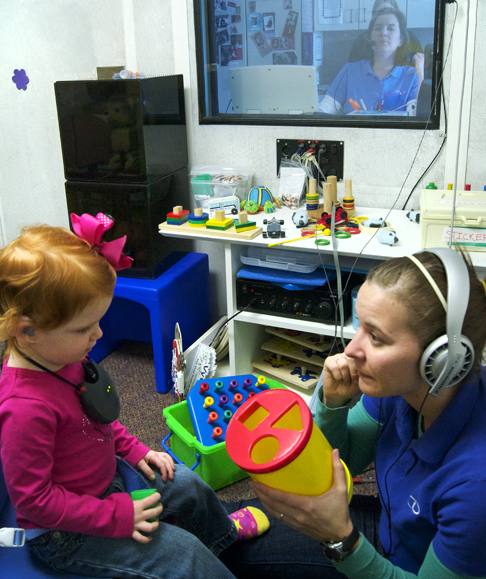 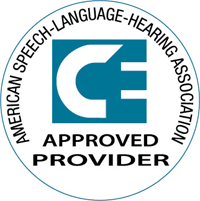 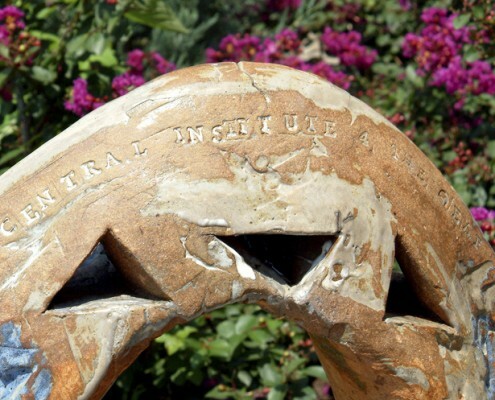 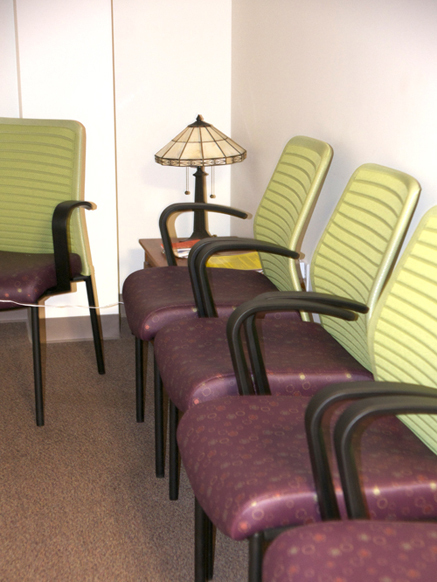 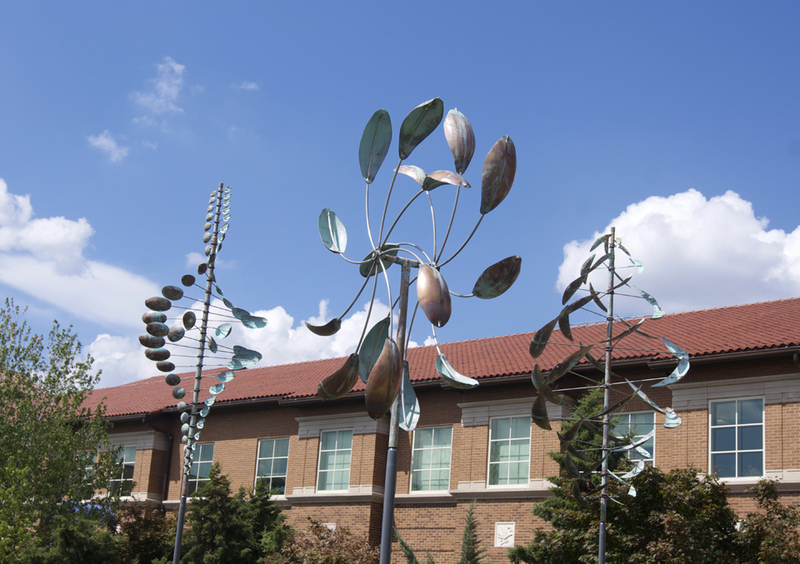 Located in the Washington University Medical Center community, the CID school is dedicated to excellence in listening and spoken language education. 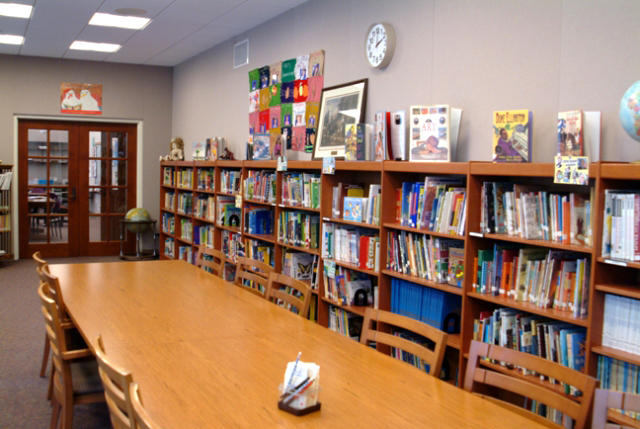 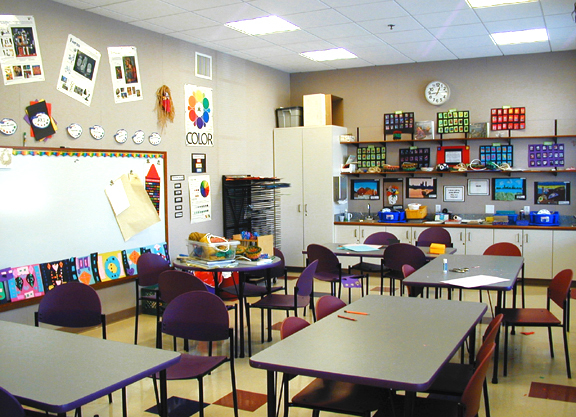 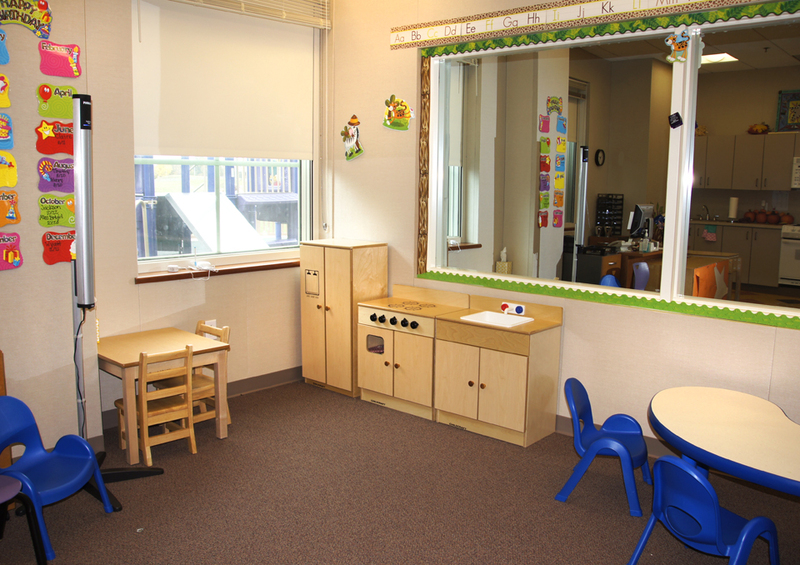 The school contains small classrooms for individualized learning. 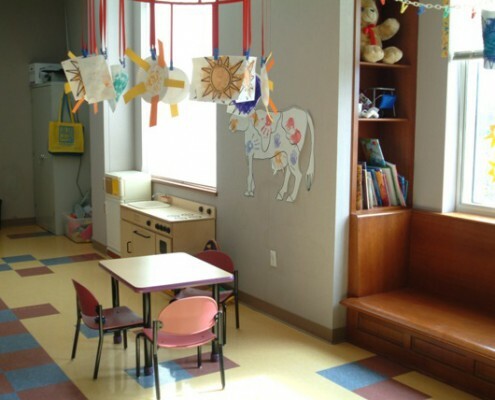 It also contains a family living room, children’s library, a music and drama room, an art room, discovery rooms, state-of-the-art pediatric audiology facilities, pull-out rooms for speech-language and occupational therapy, observation rooms and a gym. Our award-winning facilities were updated in 2015 with input from parents, teachers, audiologists and other professionals. 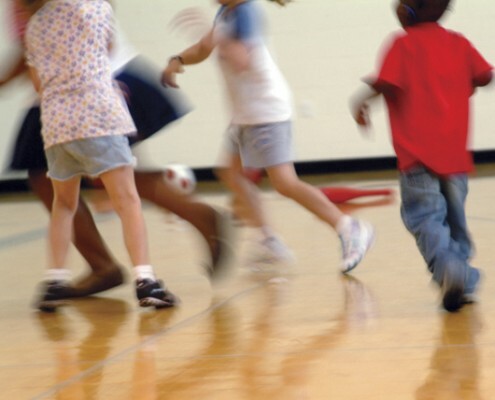 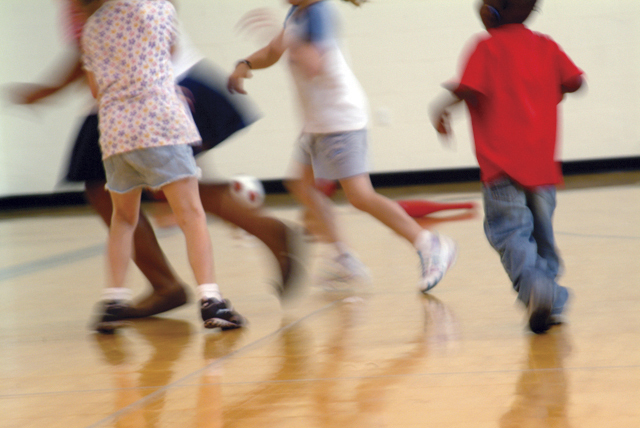 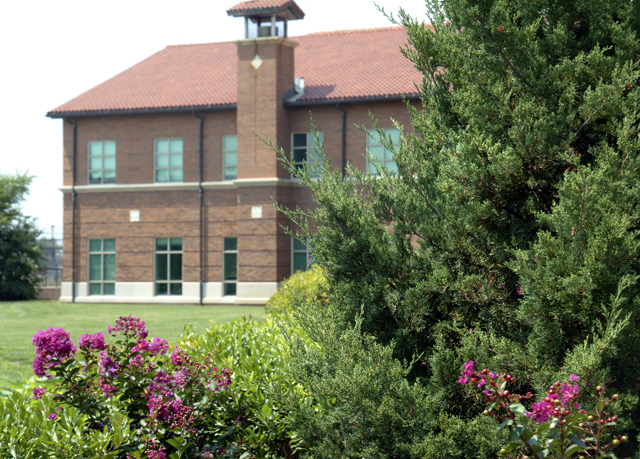 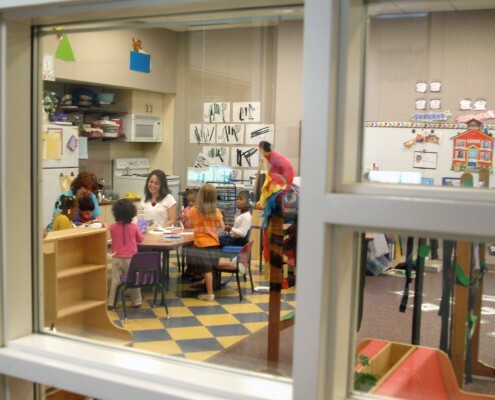 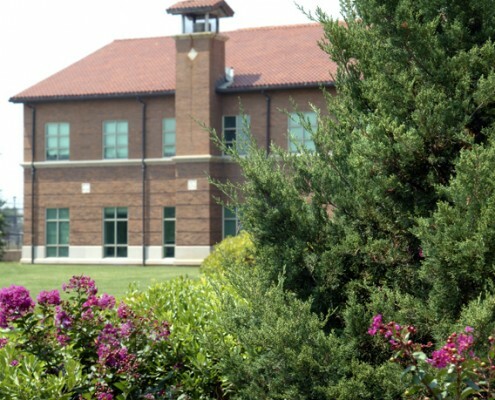 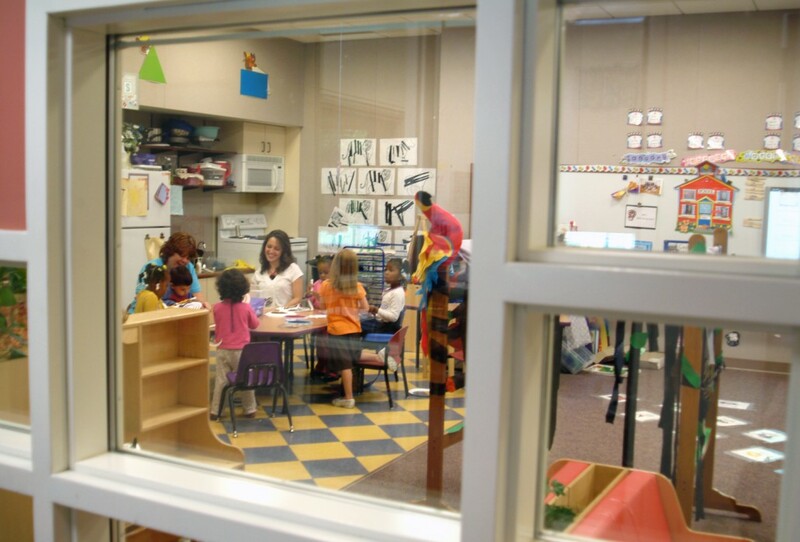 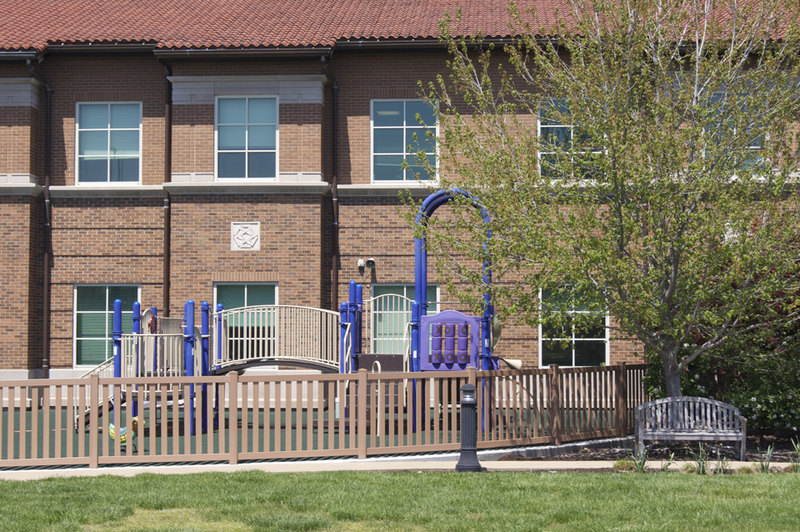 The Joanne Parrish Knight Family Center, Anabeth and John Weil Early Childhood Learning Center, the Virginia J. Browning Primary School and the Emerson Center for Professional Development are contained within the school. 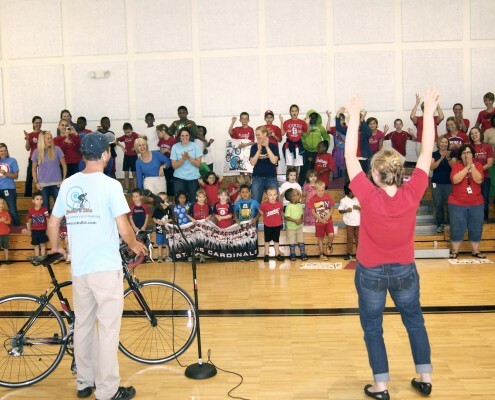 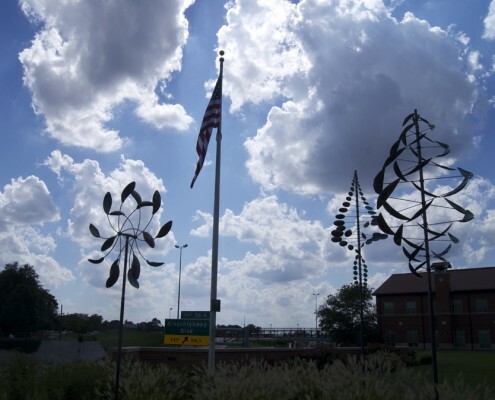 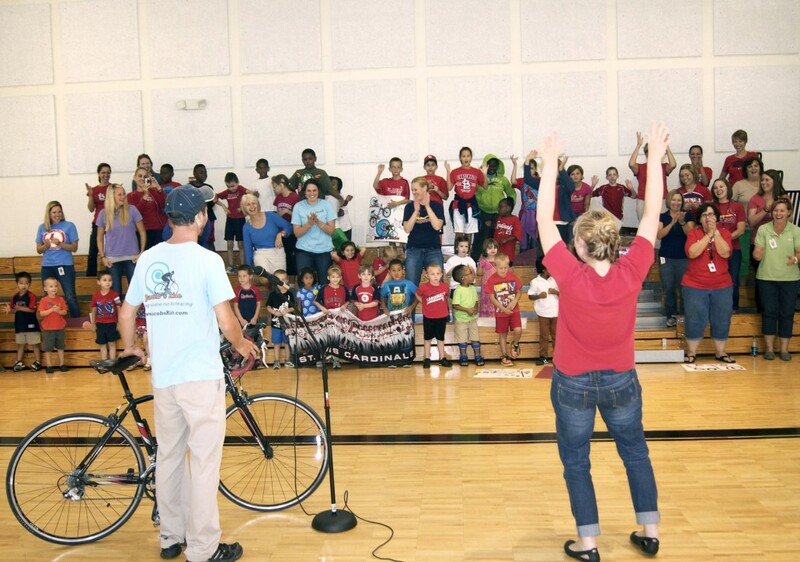 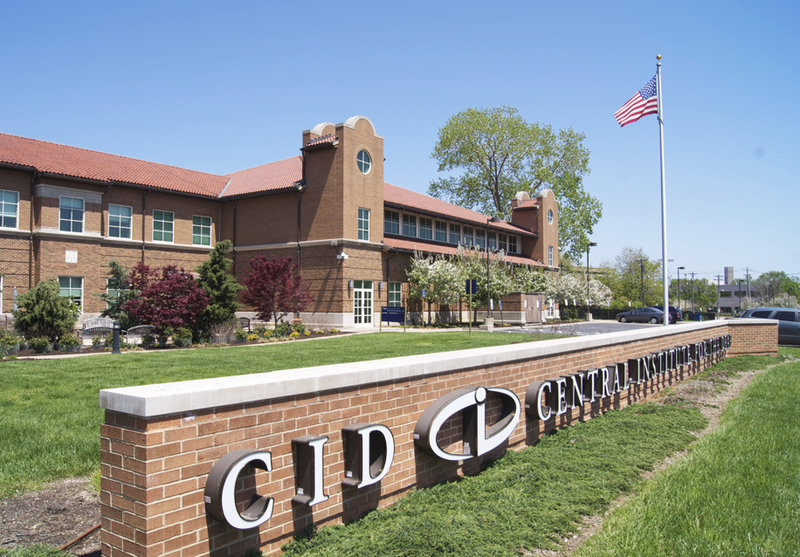 Sitting in a CID classroom, you’d never know the school is located near a busy interstate highway and major area hospitals, with the sounds of cars, trucks, ambulances and helicopters filling the air. 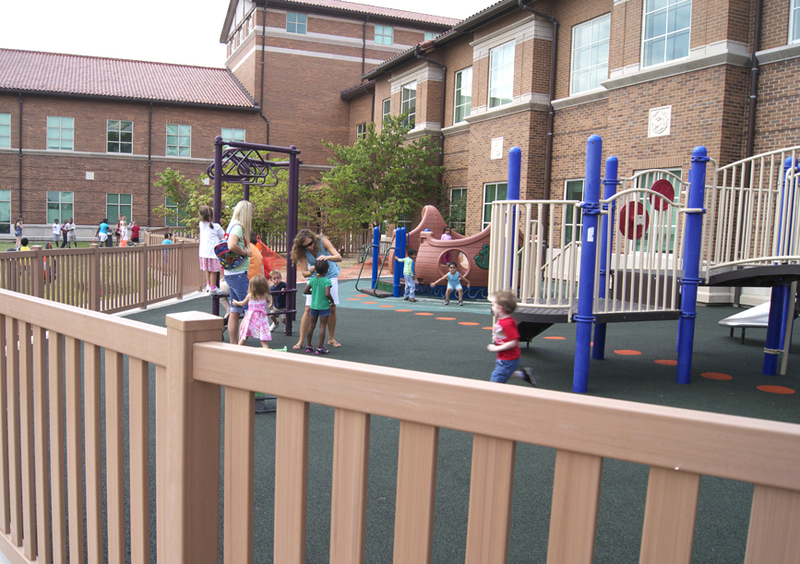 That’s because the building is engineered from the ground up to mitigate outside noise so students can learn. 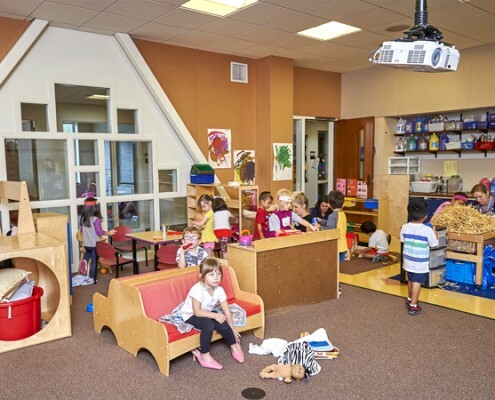 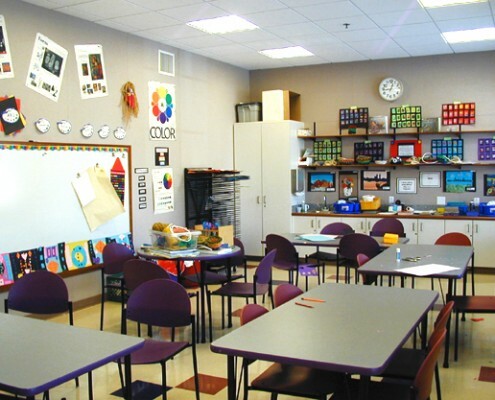 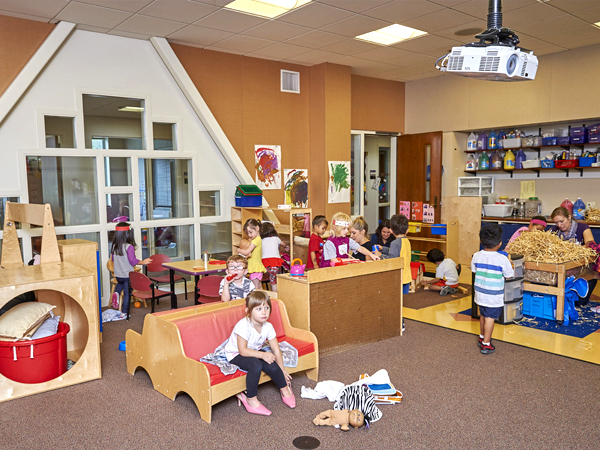 The 42,000-square-foot CID school has superior classroom acoustics for optimal listening and spoken language education, exceeding ASHA-recommended national guidelines. 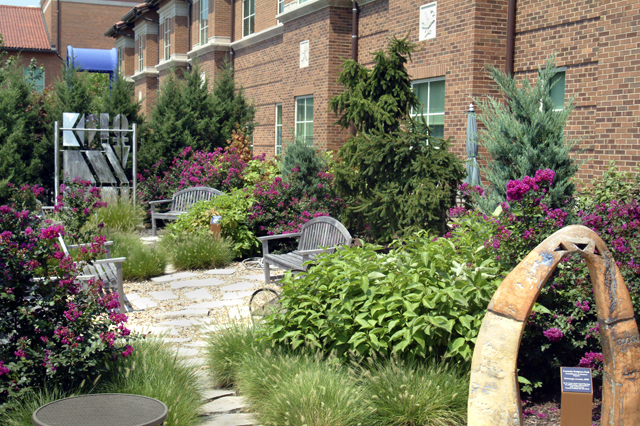 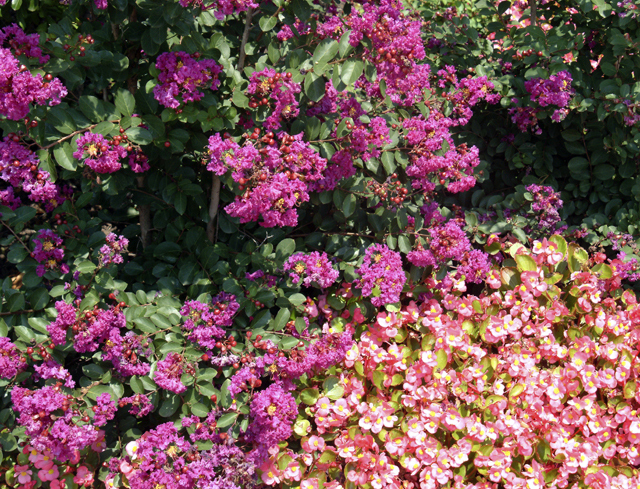 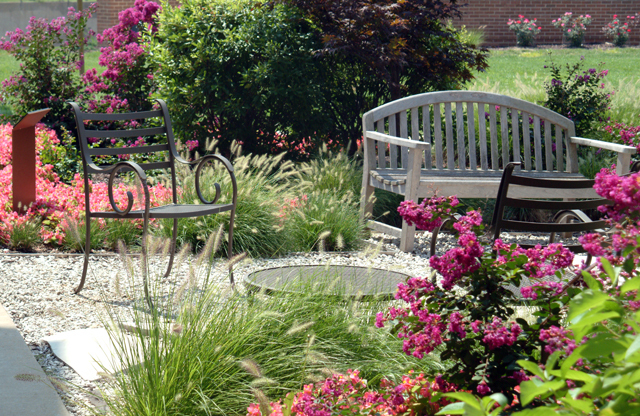 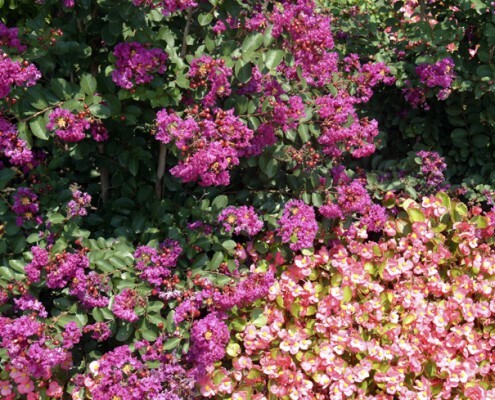 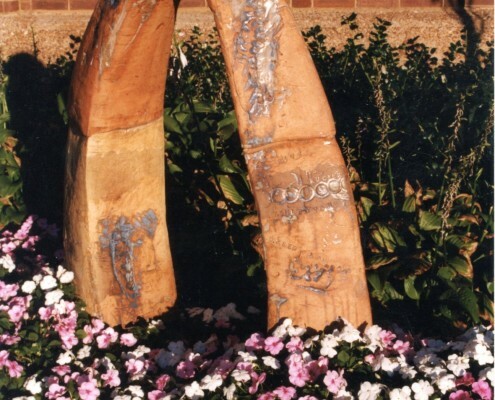 Landscaping is used to buffer the sound. 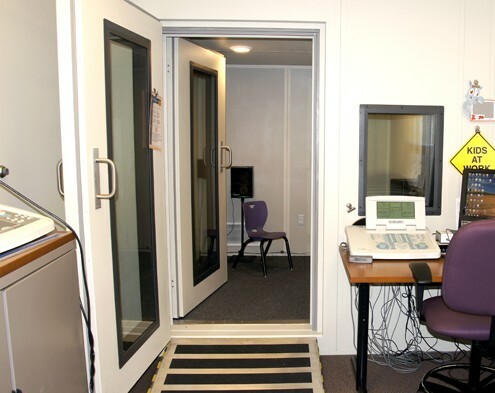 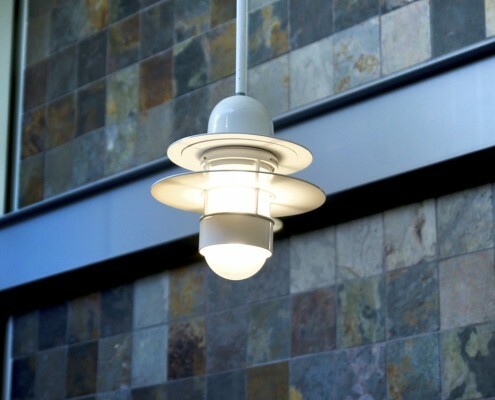 The classrooms are well insulated and located away from hvac systems that are themselves designed to reduce noise. 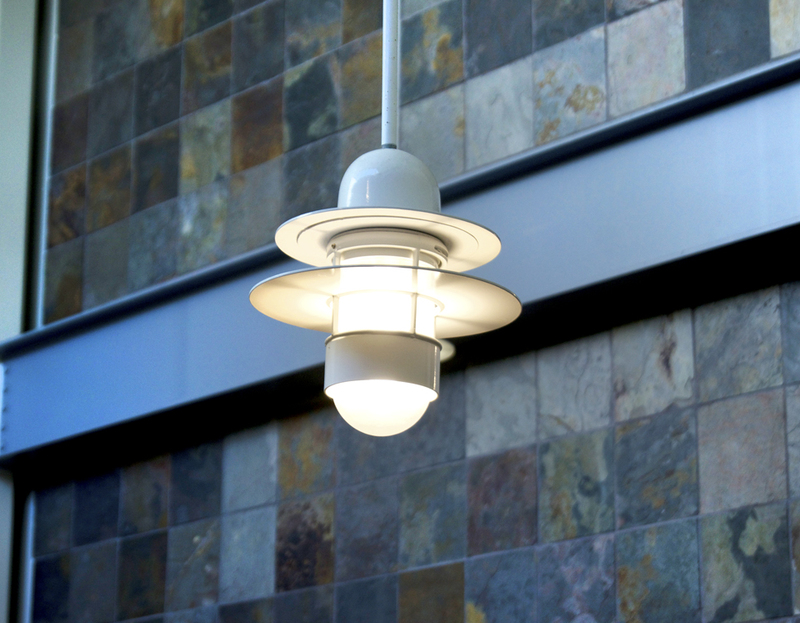 Specially chosen construction strategies and materials reflect sound away from the exterior and absorb sound in the interior. 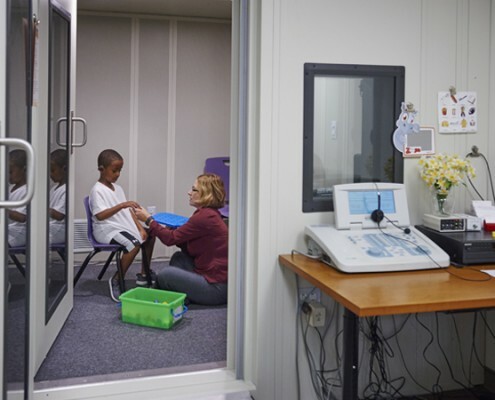 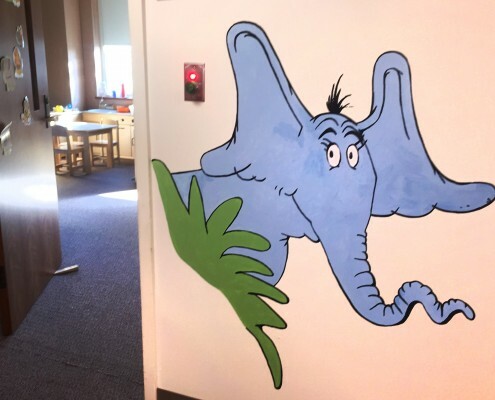 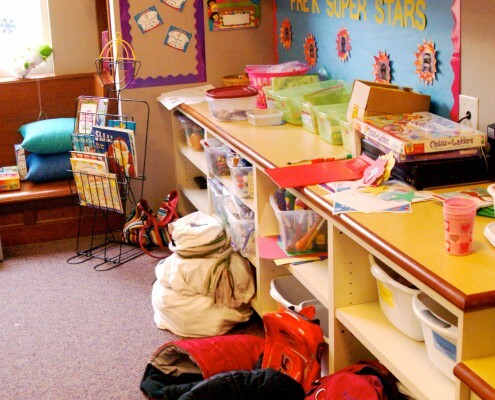 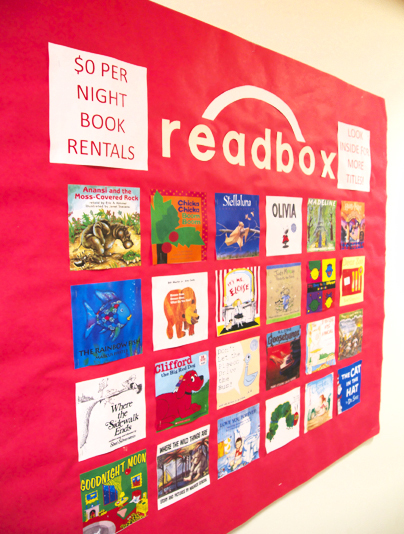 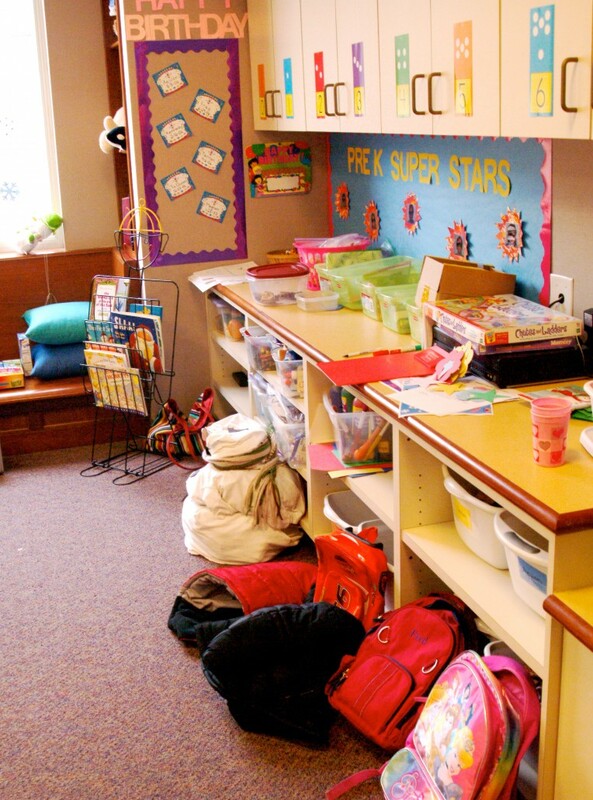 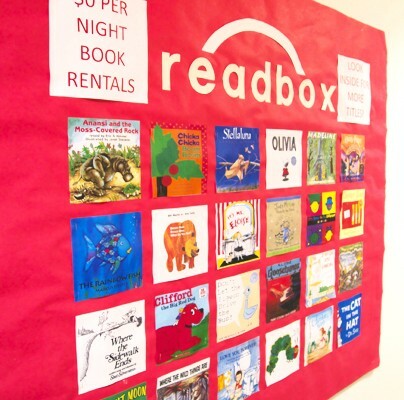 The teachers may also make use of built-in sound field systems that distribute their voices evenly around the room, to be picked up by the children’s hearing devices. Preparing children for the world requires integrating technology into daily education. 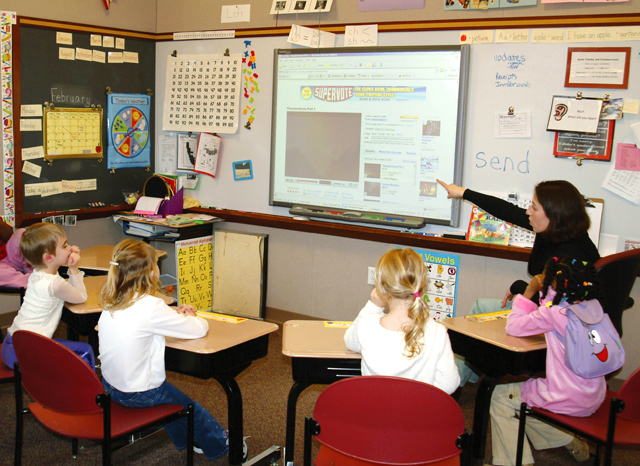 Thanks to a generous bequest from Edwin Slye, a CID alumnus, every CID classroom features a large-screen interactive computer whiteboard to help foster enthusiasm for learning while capitalizing on each student’s individual learning style. 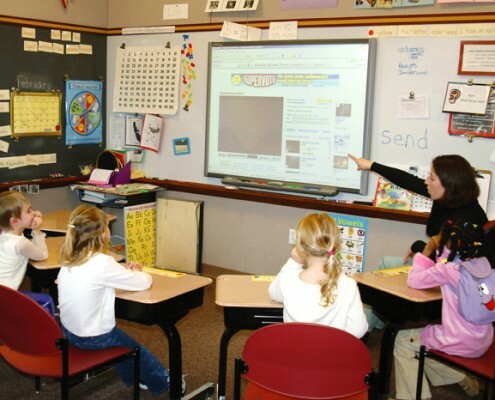 An interactive whiteboard enables the teacher and students to use their fingers instead of a mouse and keyboard. 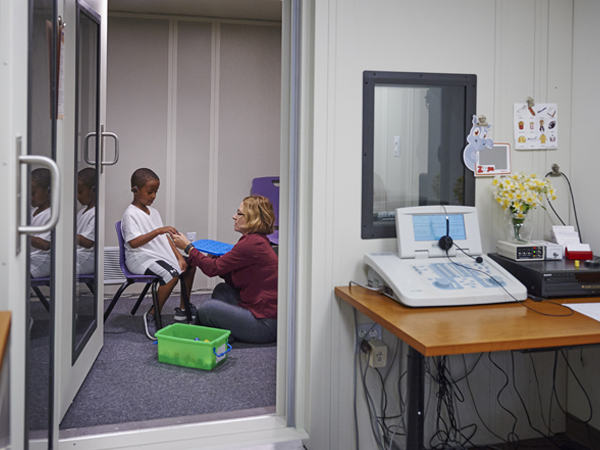 Built-in tools include handwriting recognition capabilities and a camera to capture images and text. 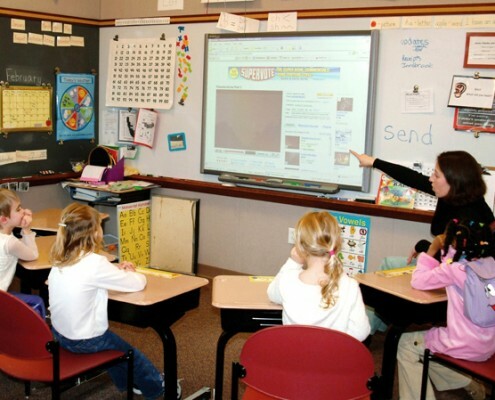 The teacher can create simple or elaborate interactive presentations that include an endless variety of content from the Internet. 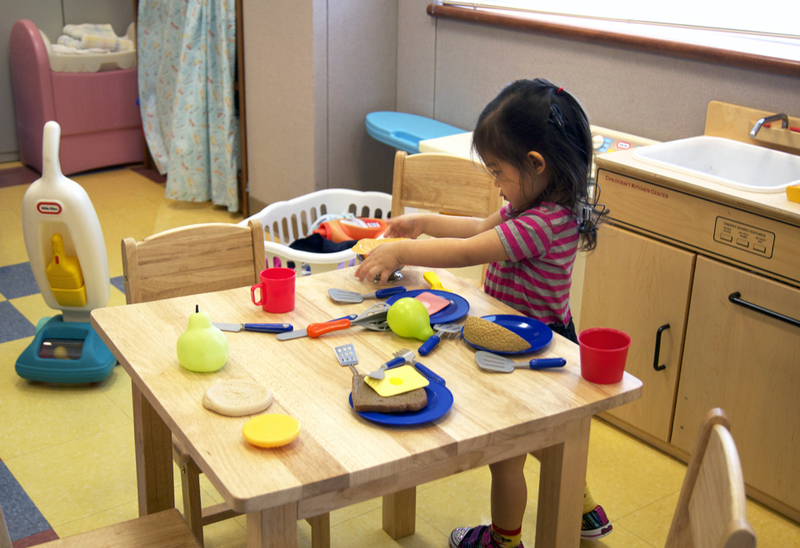 Or she can use the whiteboard like a clean slate, accessing resources as she goes along. 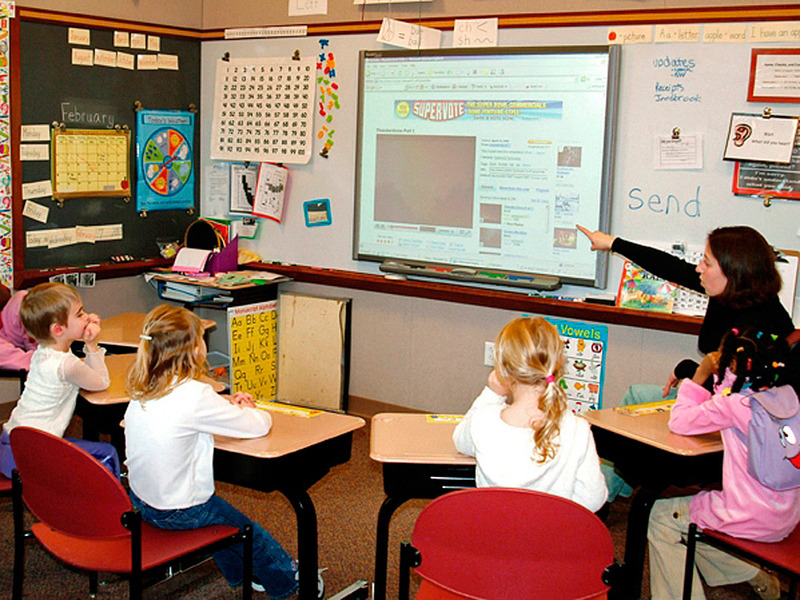 This thoughtful classroom technology helps the children build computer skills. 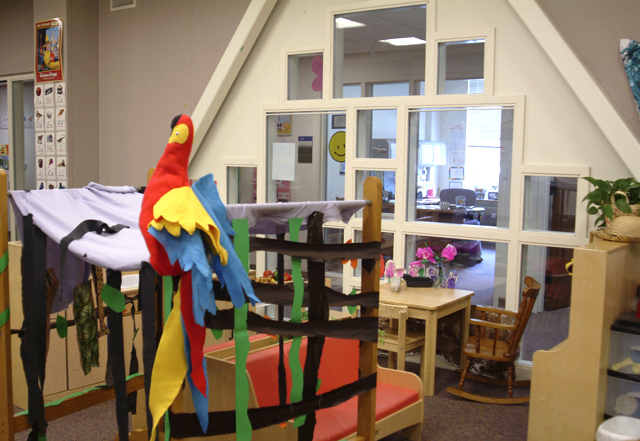 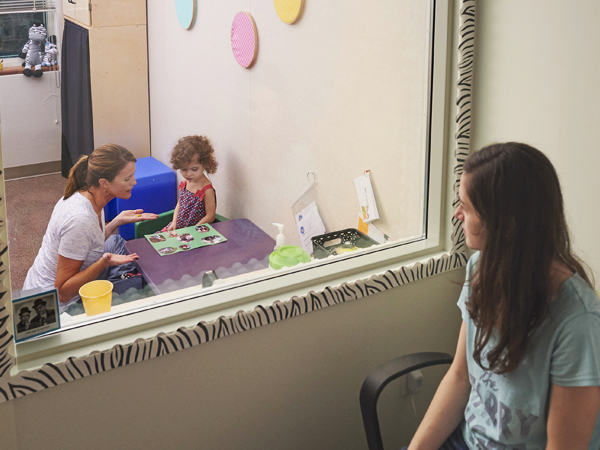 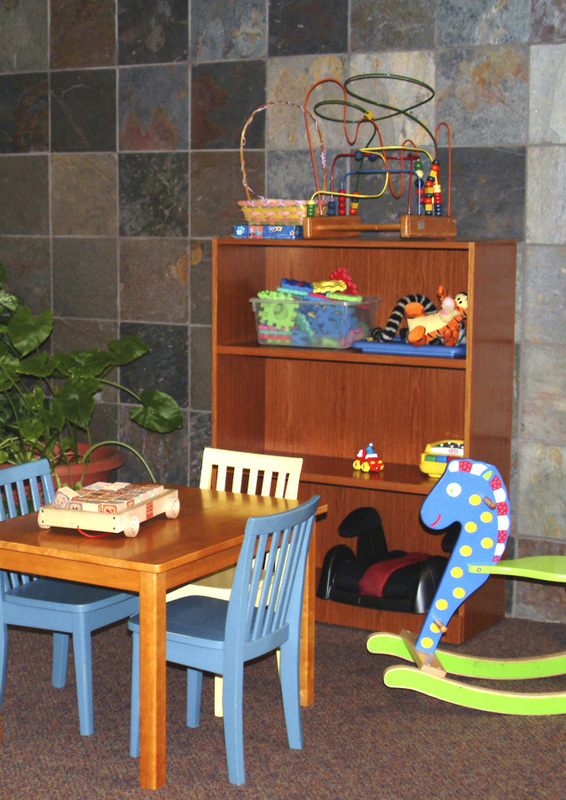 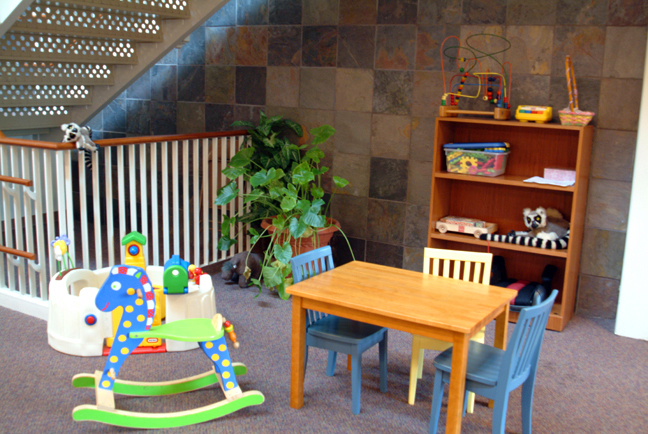 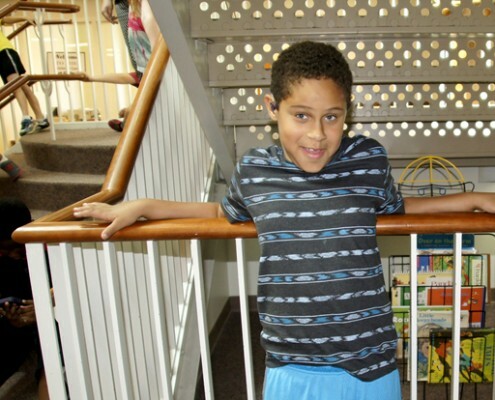 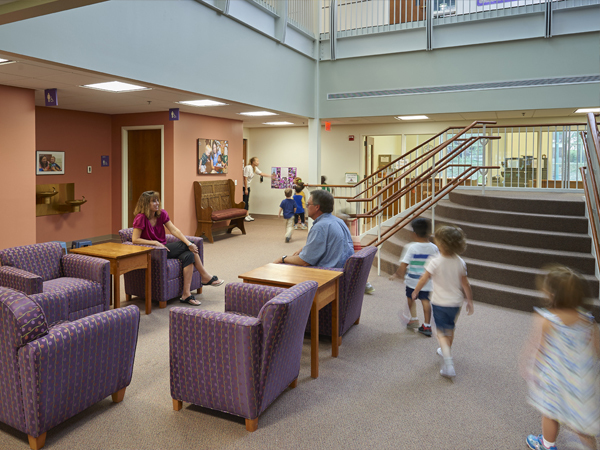 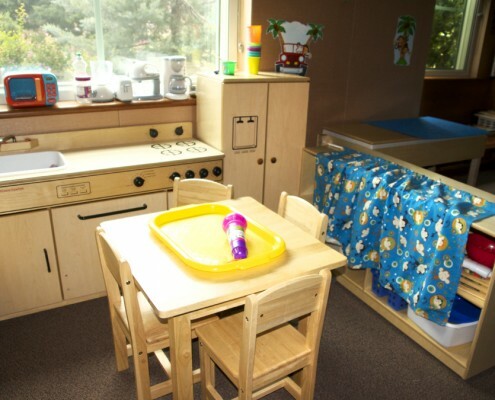 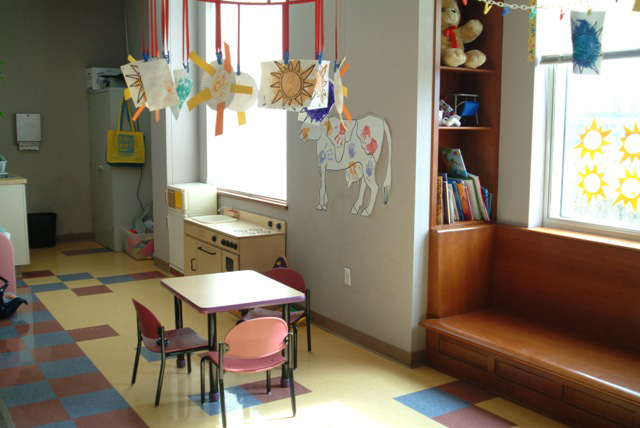 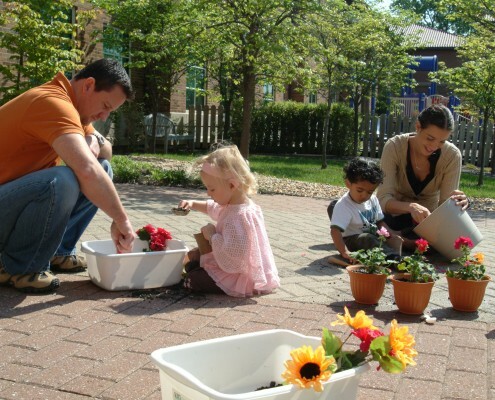 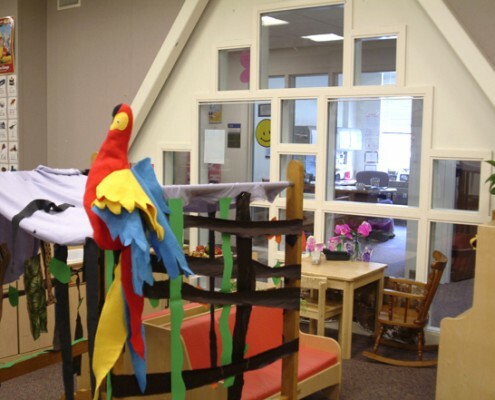 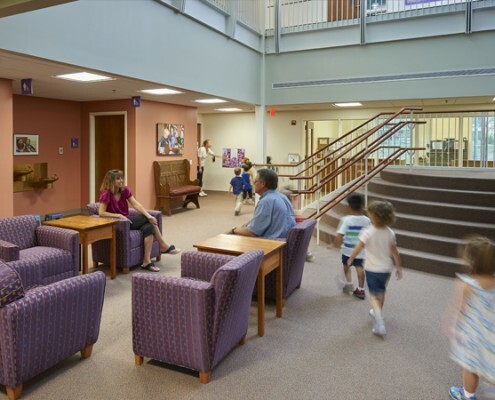 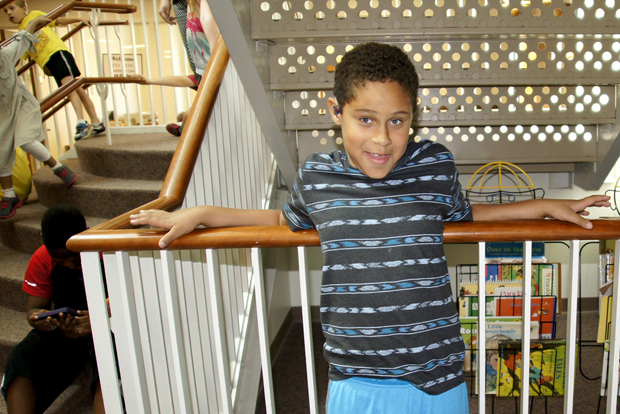 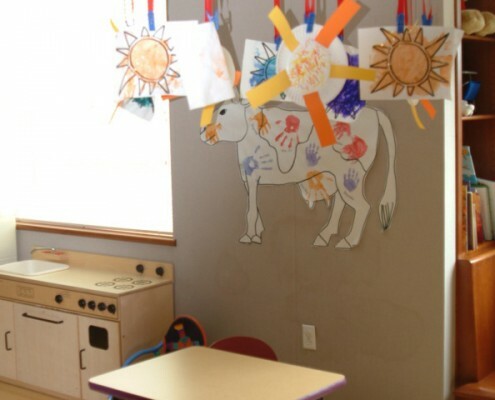 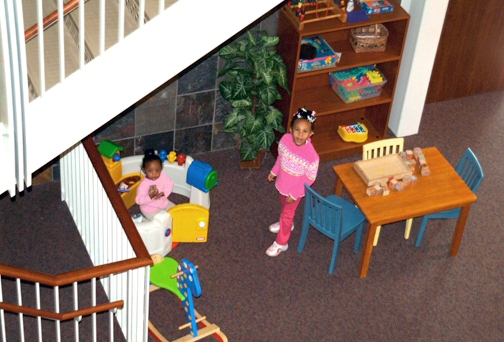 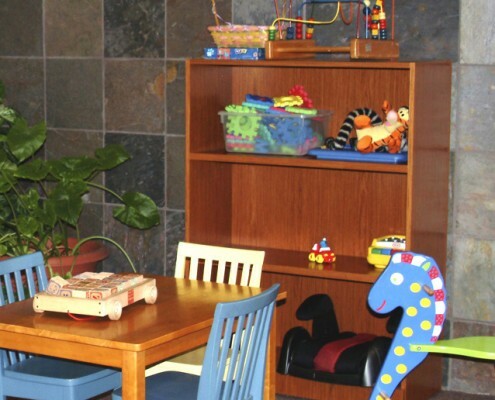 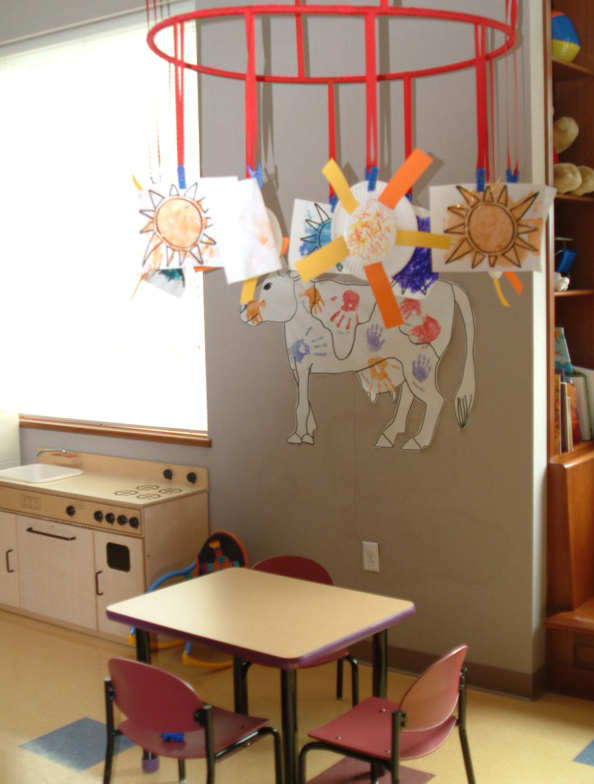 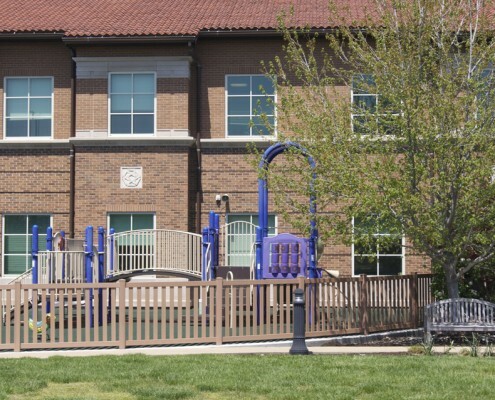 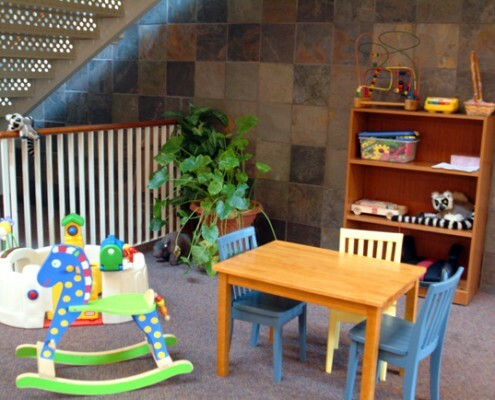 The CID school houses the Joanne Parrish Knight Family Center, a warm, home-like place designed to accommodate families with newly diagnosed infants making their first contact with CID. 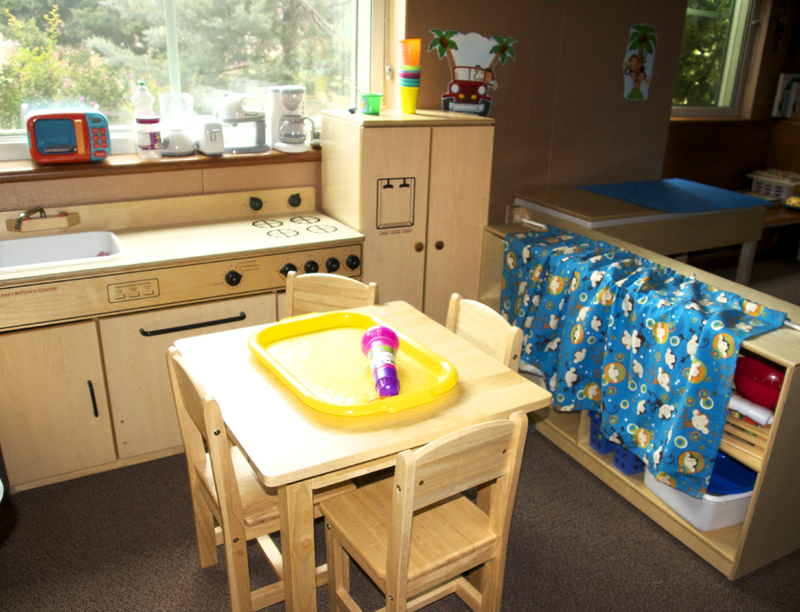 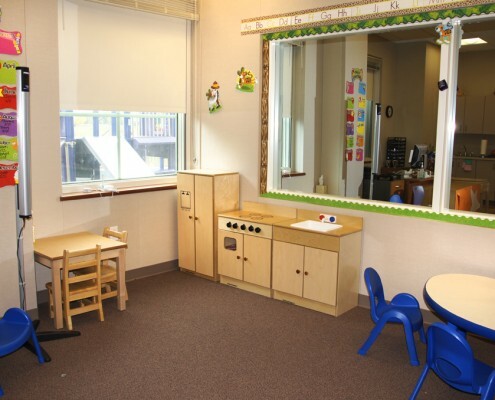 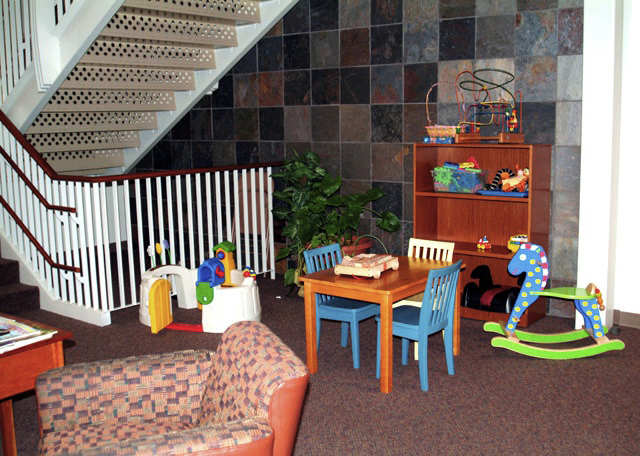 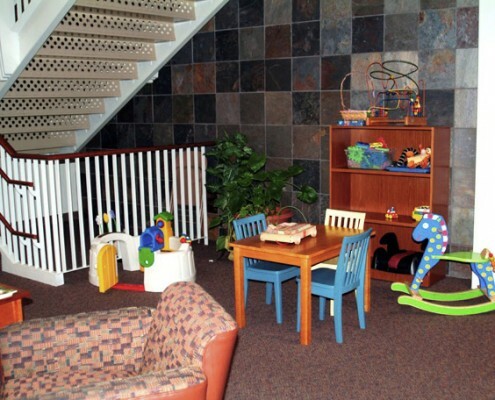 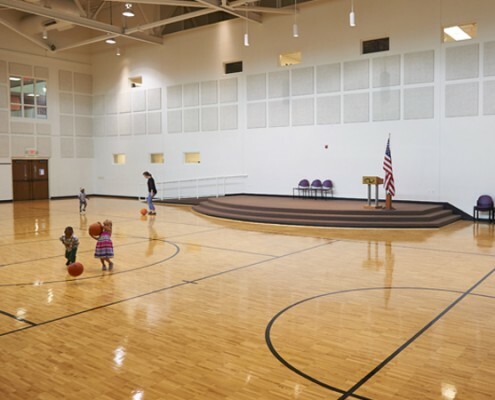 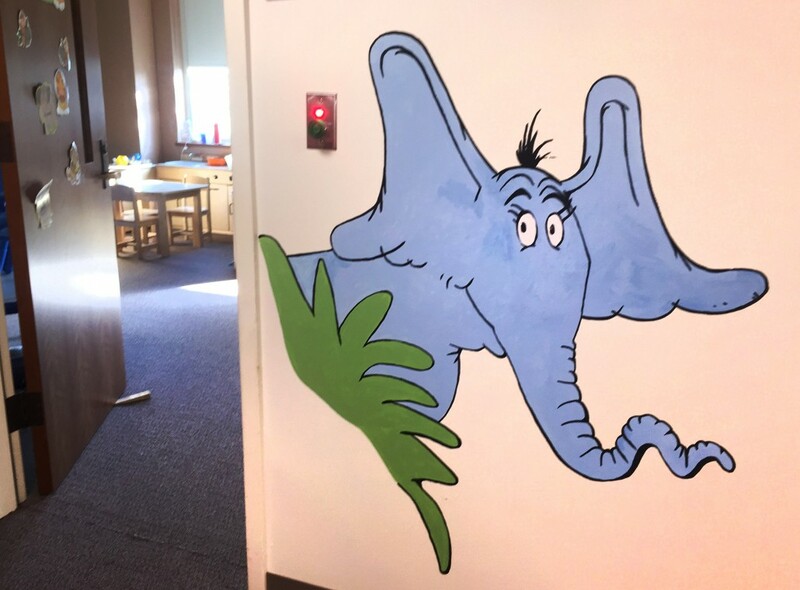 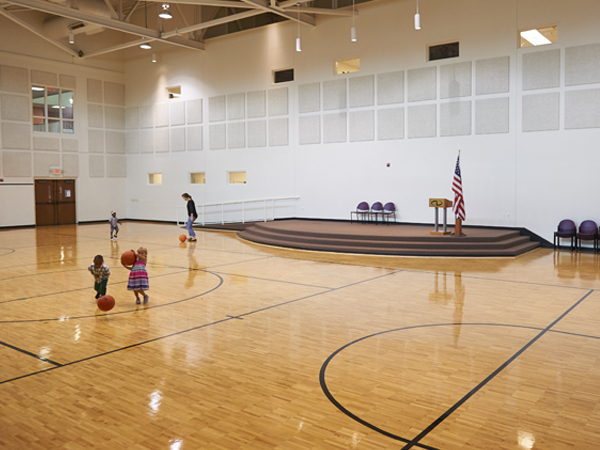 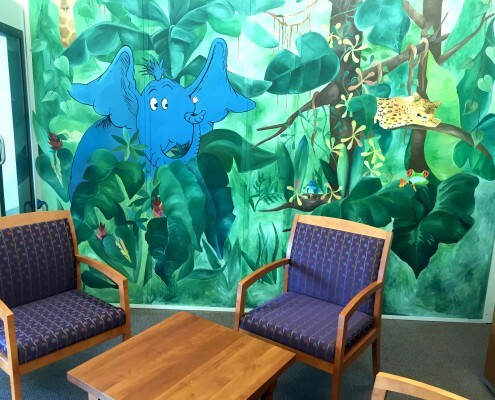 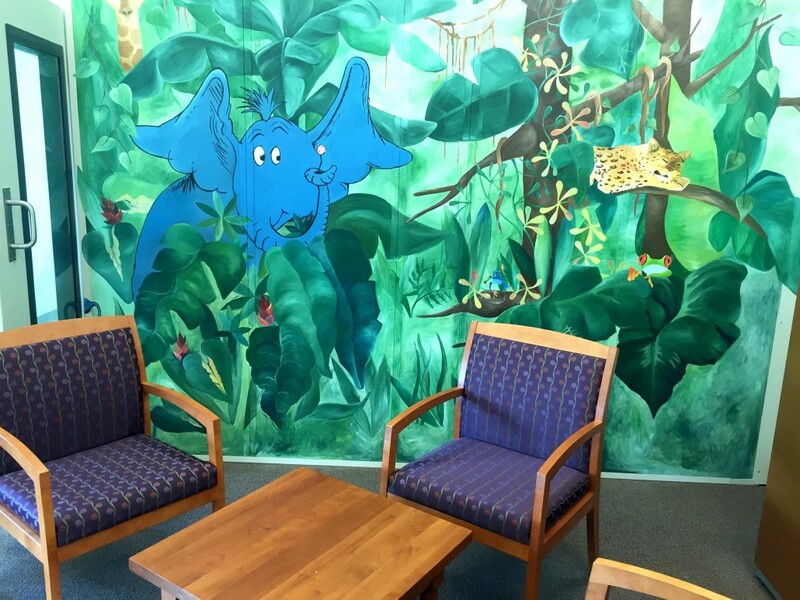 The facility features natural home environment classrooms for toddlers and comfortable, family friendly observation rooms, conference spaces and waiting areas. 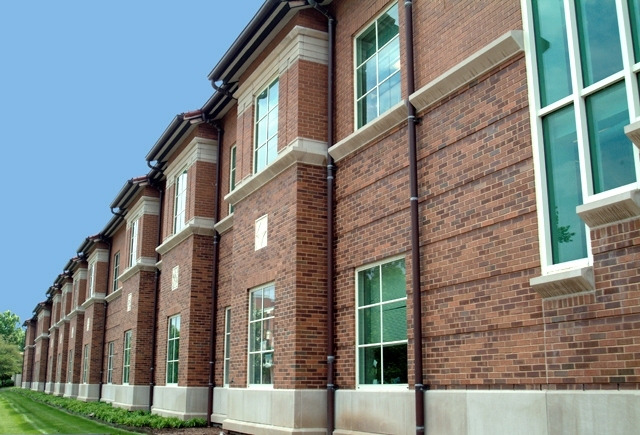 The building’s exterior features clean lines, distinctive masonry towers and Romanesque arches. 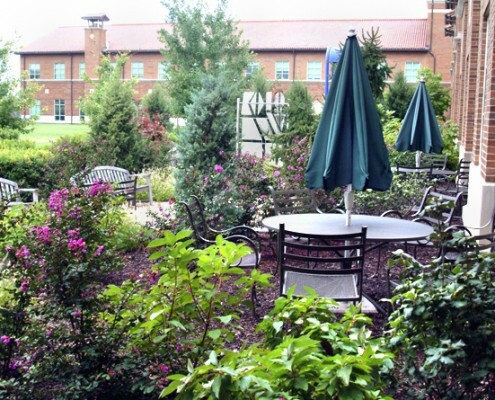 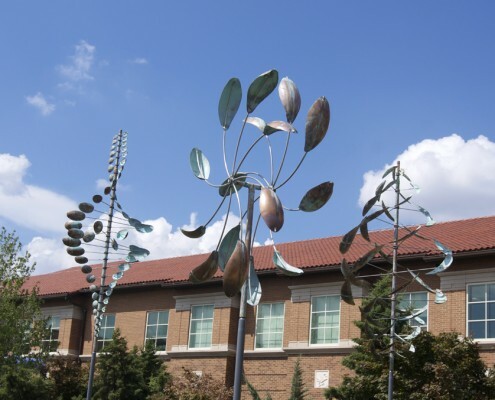 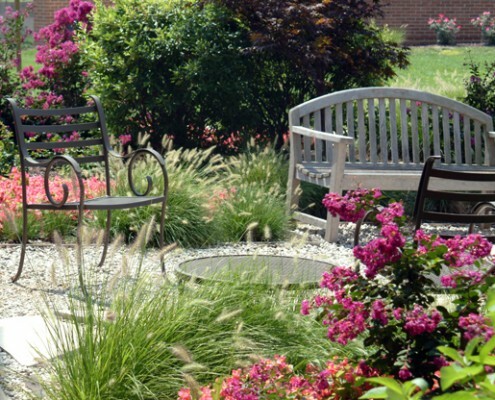 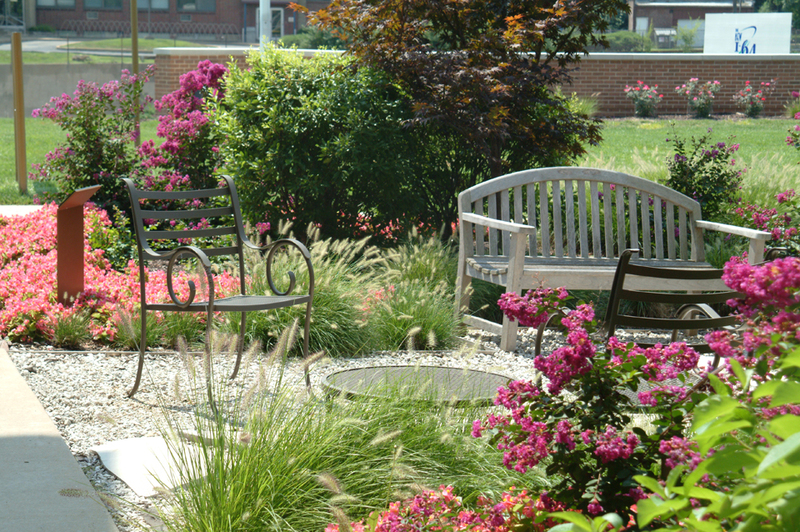 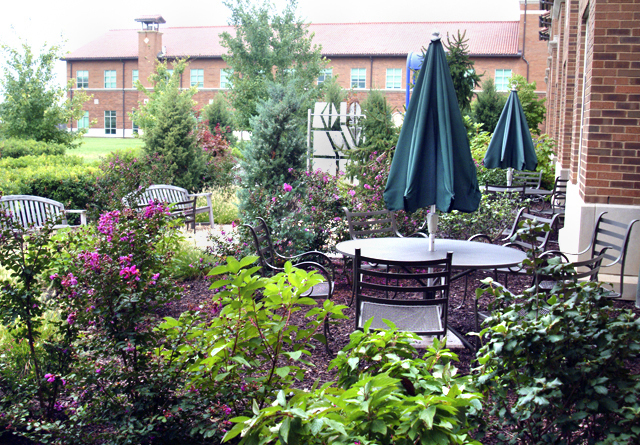 The grounds are covered with gardens full of flowers, grasses, trees, wind sculptures, benches and tables with umbrellas. 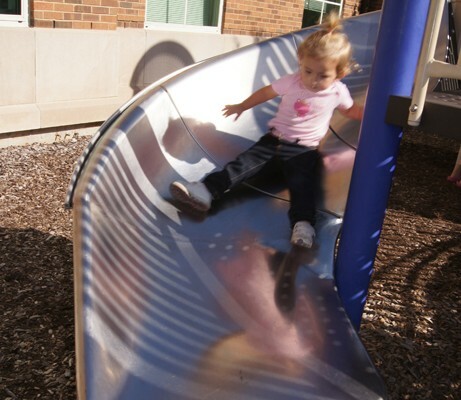 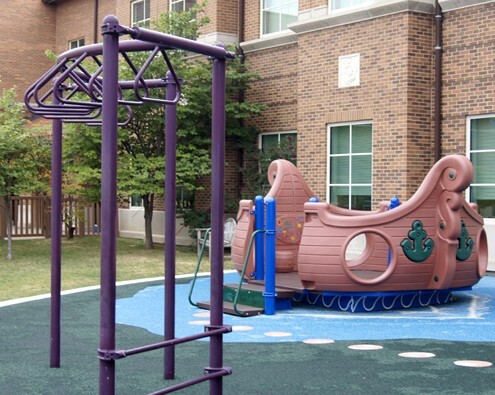 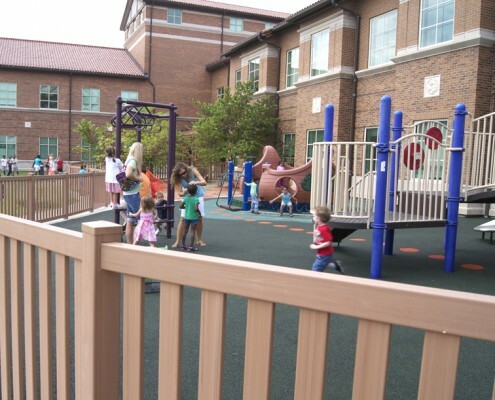 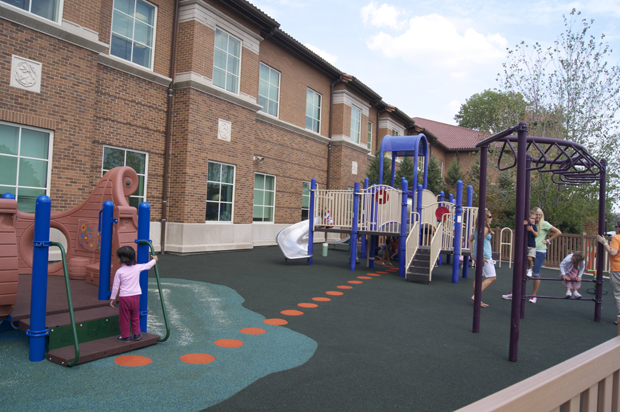 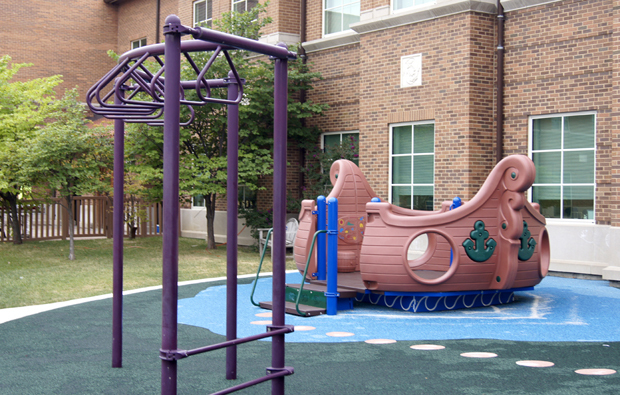 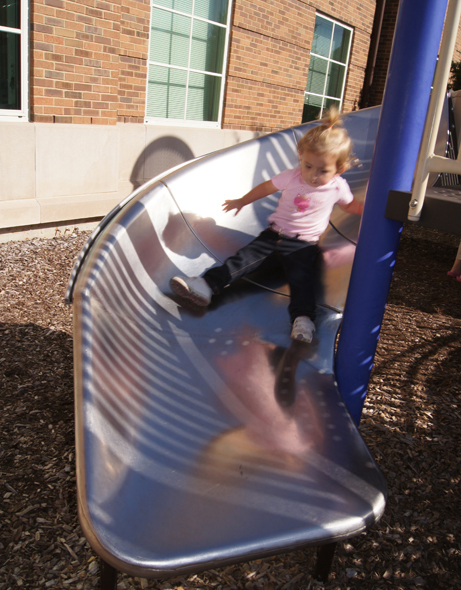 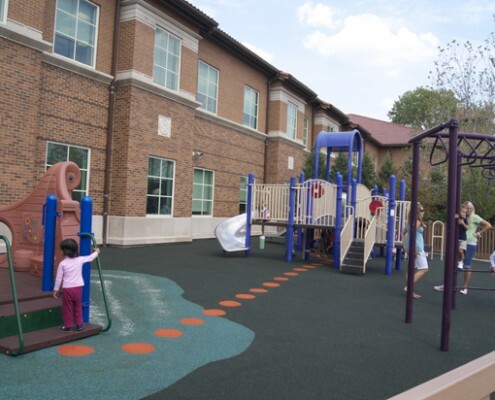 An open space for supervised games and a colorful, fenced-in playground provide areas for the children to have fun and learn through play. 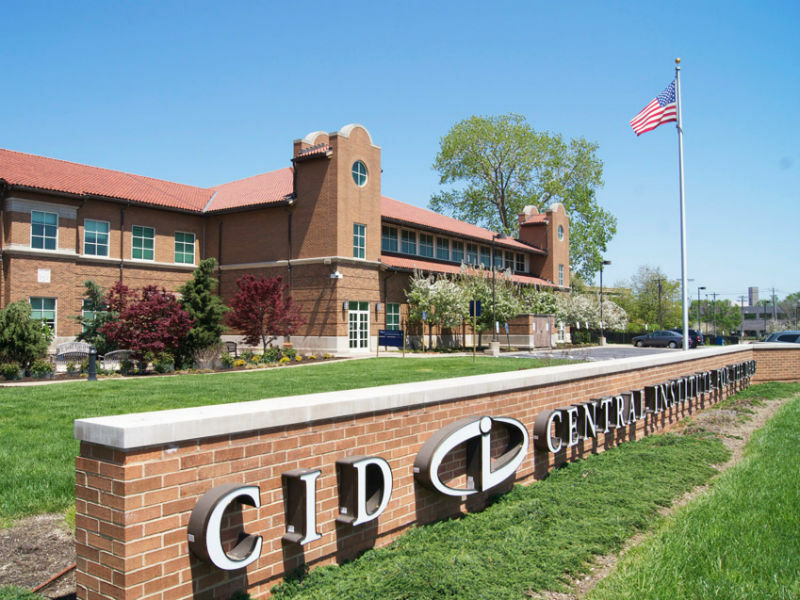 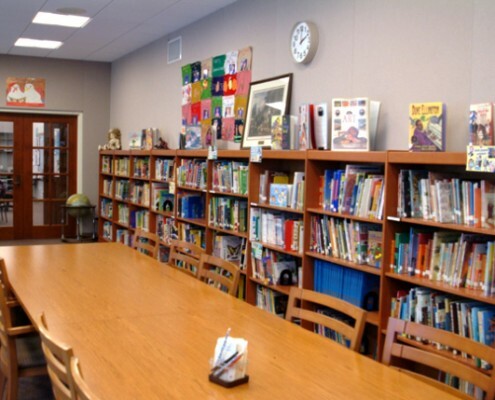 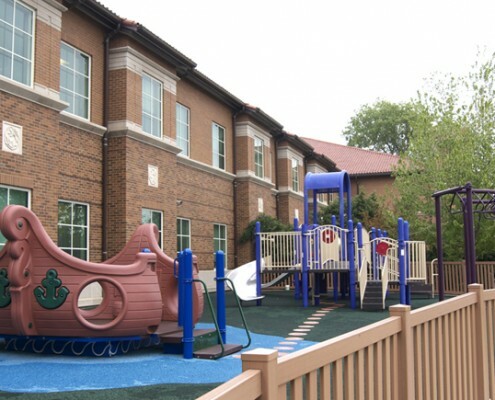 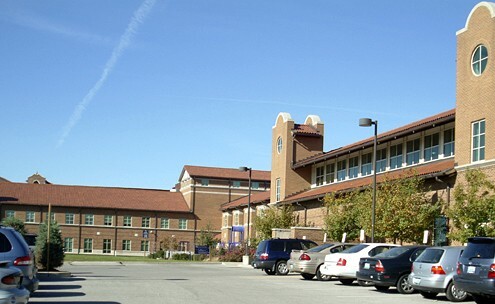 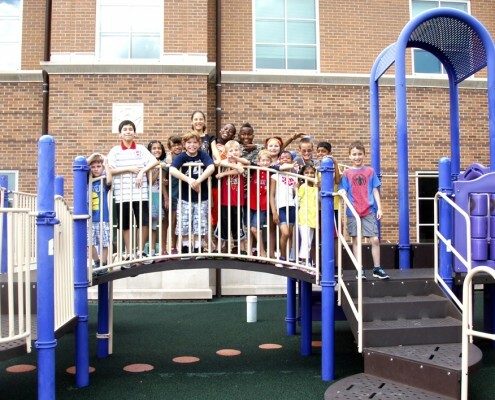 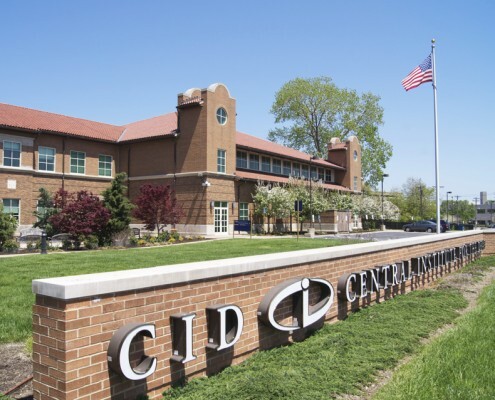 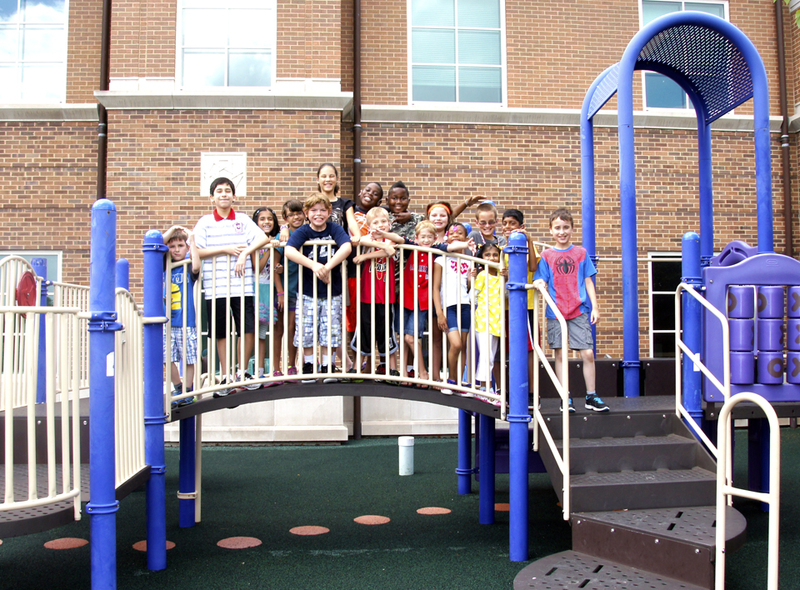 In 2000, the CID school received a Regional Excellence Award from St. Louis Construction News and Review and a Construction Keystone Award from the Associated General Contractors of St. Louis. 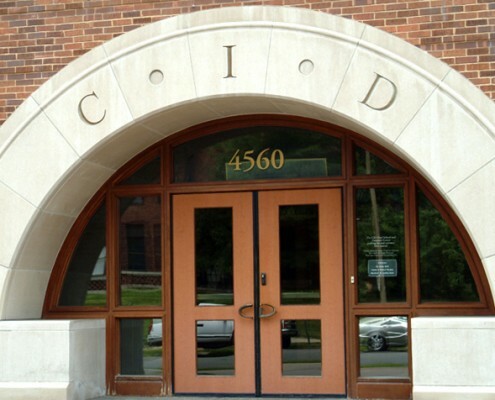 In 2001, the Landmarks Association of St. Louis named CID one of the city’s Eleven Most Enhanced Sites. 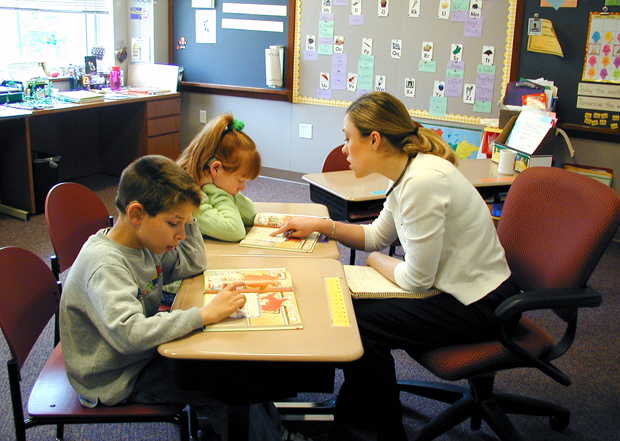 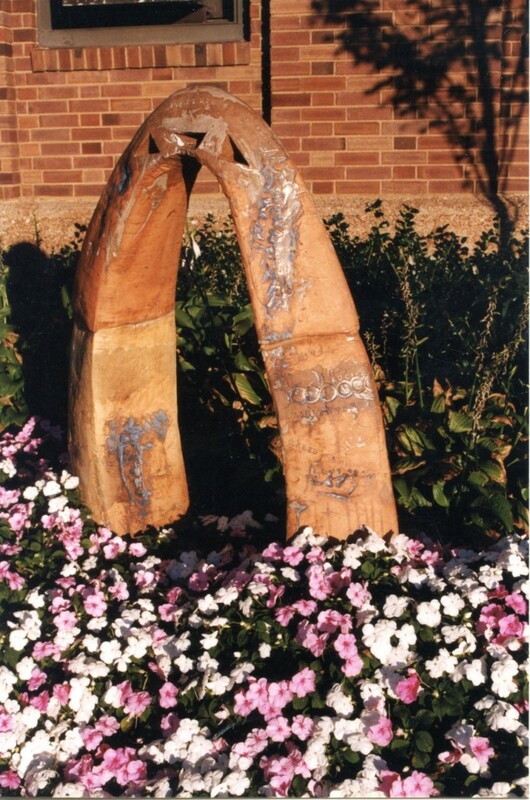 In November 2003, the school received an Impact on Learning Award from School Planning and Management magazine.